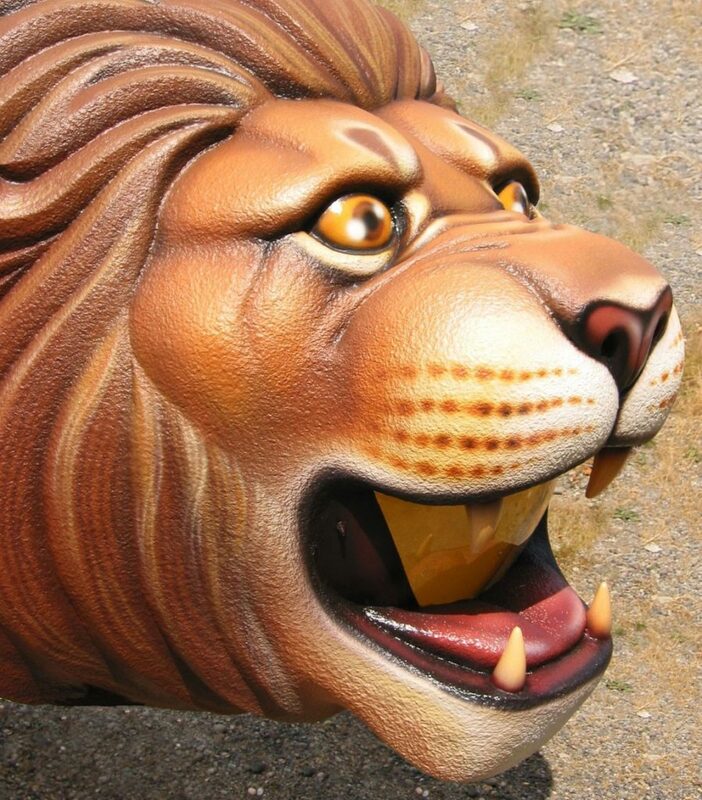 We are here to help you install our commercial playground equipment, whether it's indoor playground equipment, outdoor playground equipment, playground installations, playground install, or any playground equipment installation. 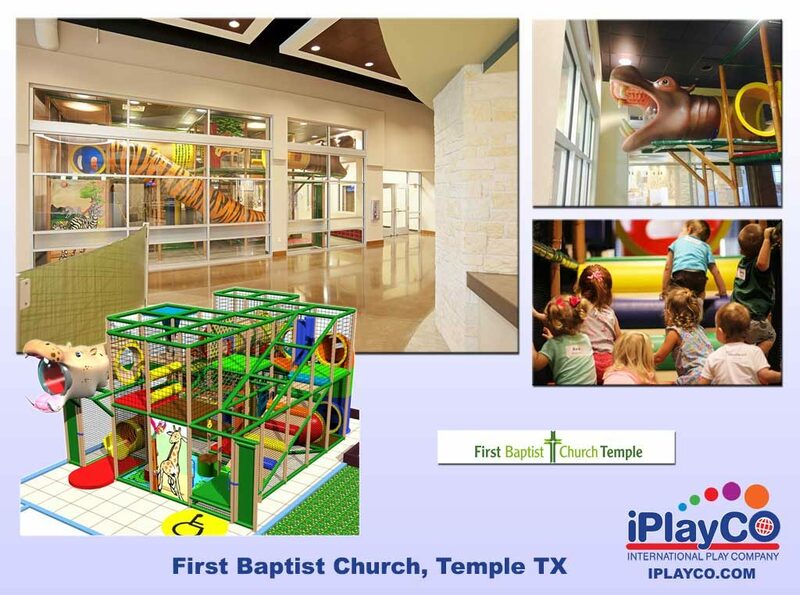 Contact us at 512-826-8800! 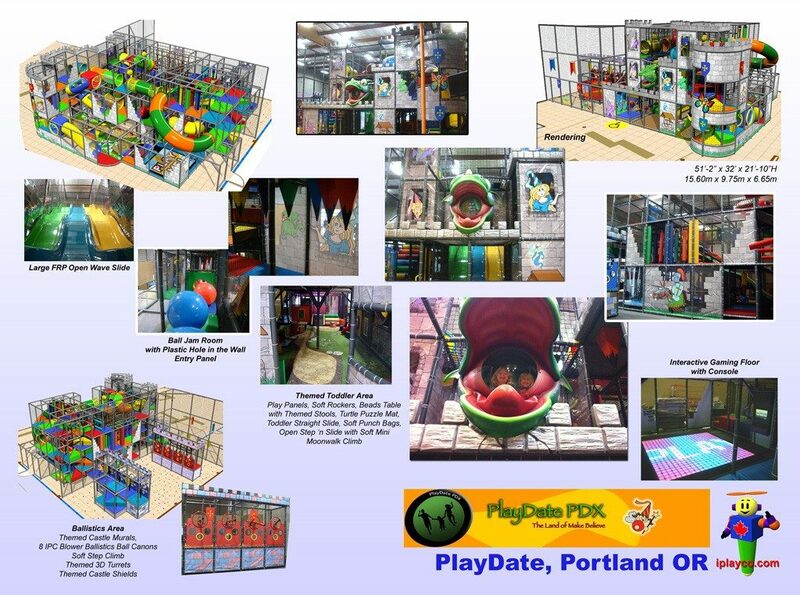 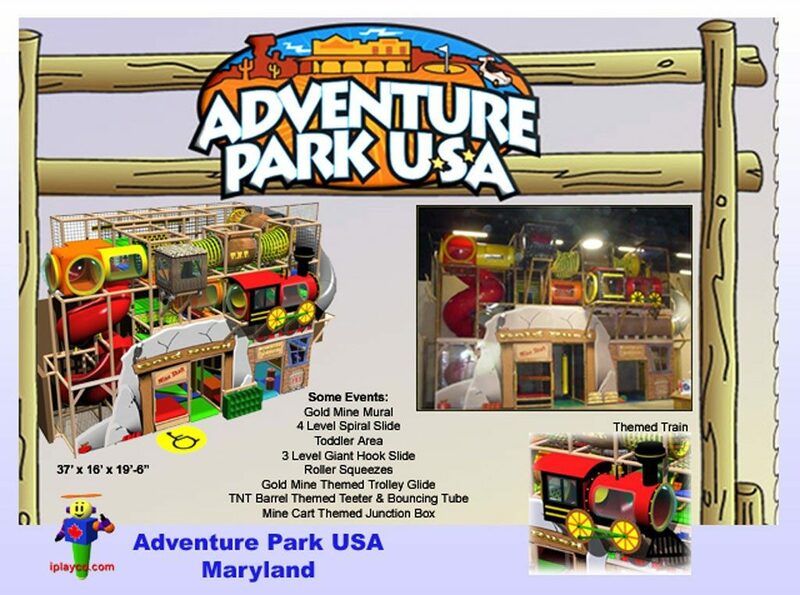 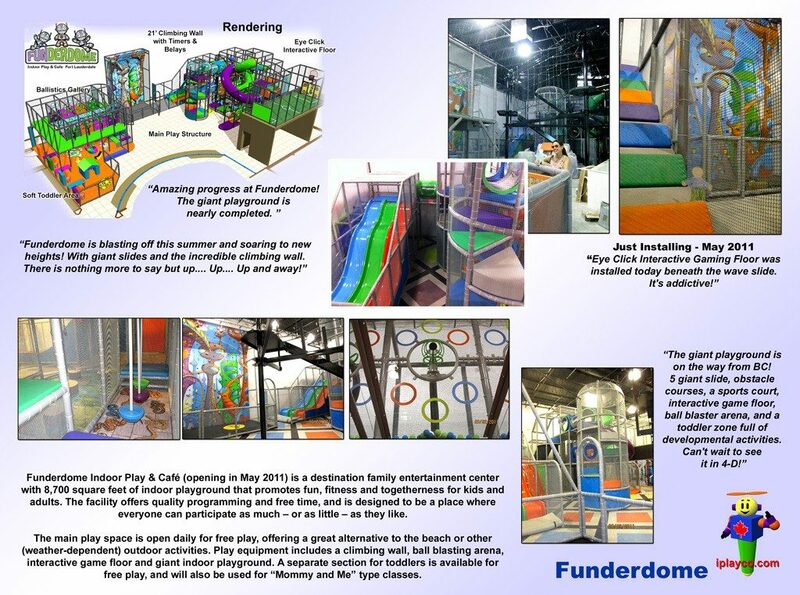 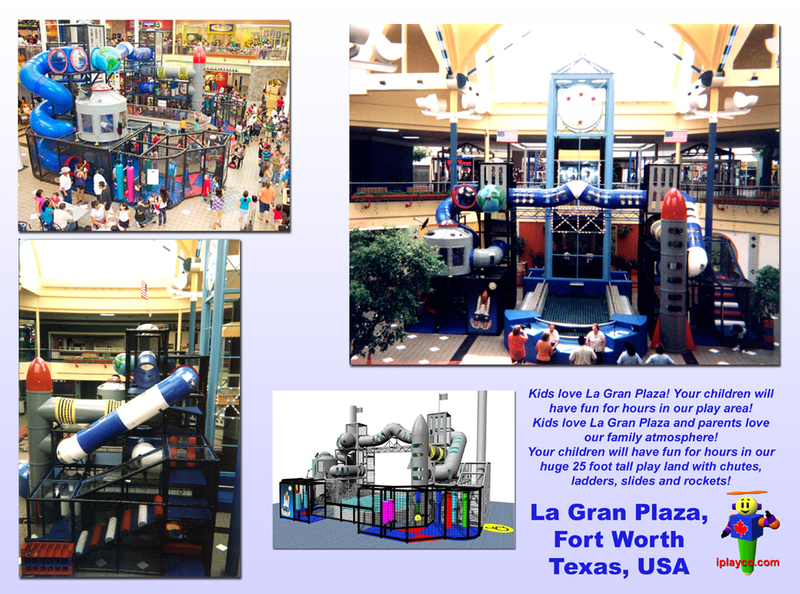 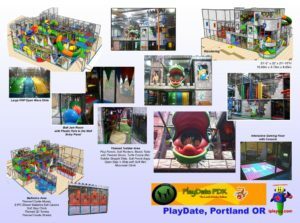 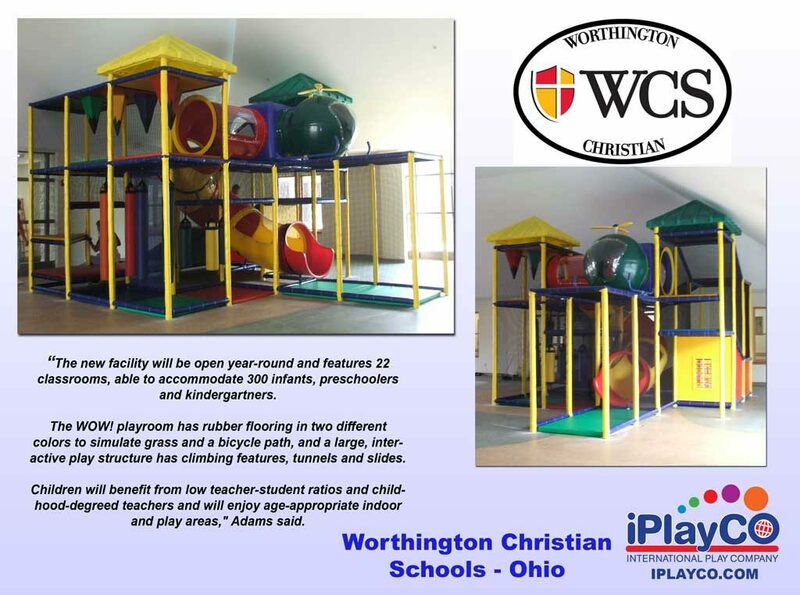 Check out our Playground Financing and Leasing available with most playground equipment. 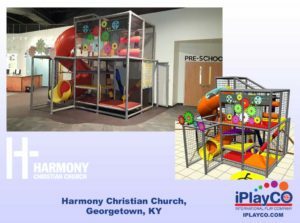 Many churches build participation into their youth programs and attract adult volunteers to manage team play. 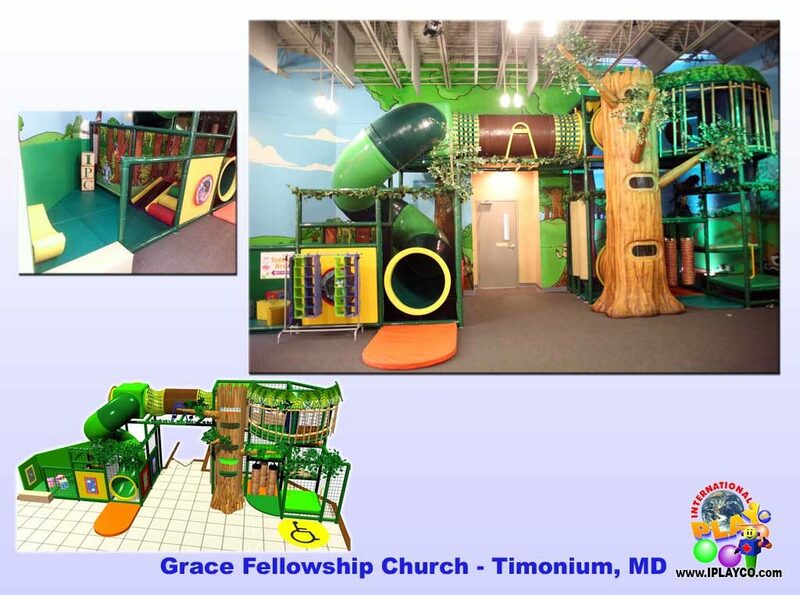 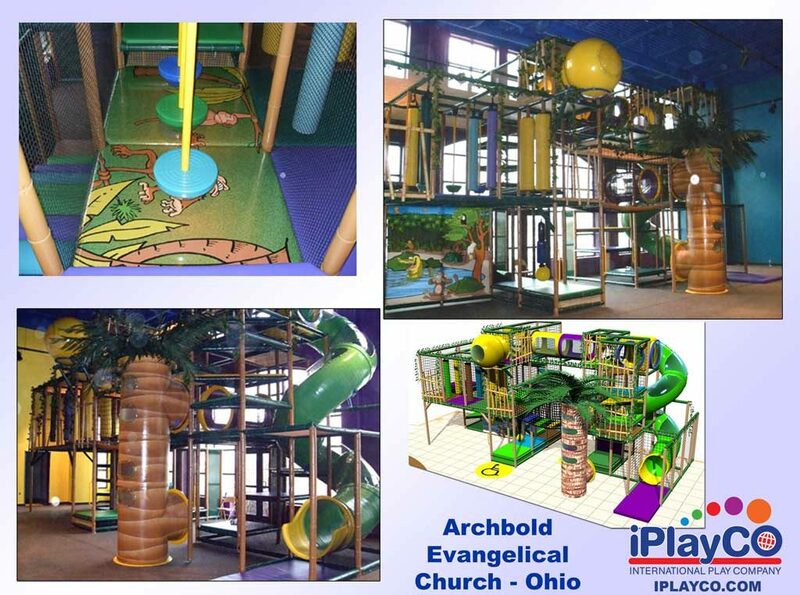 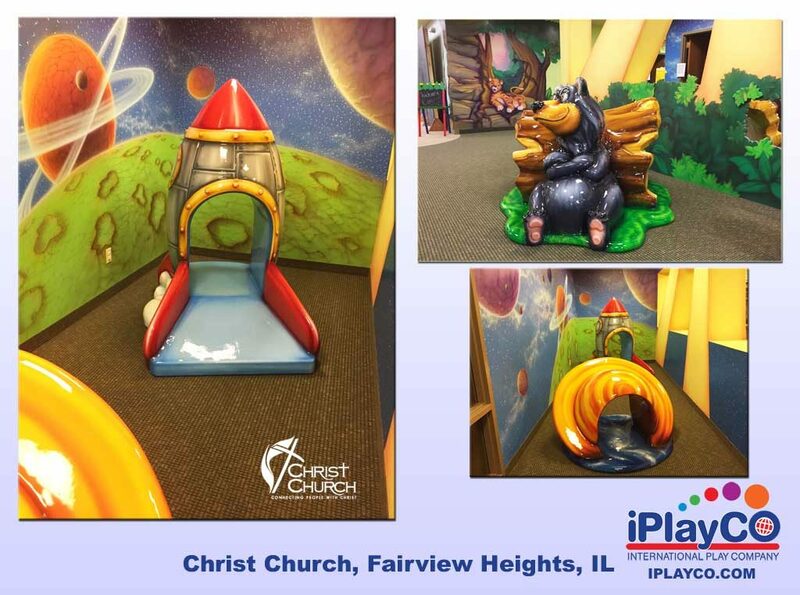 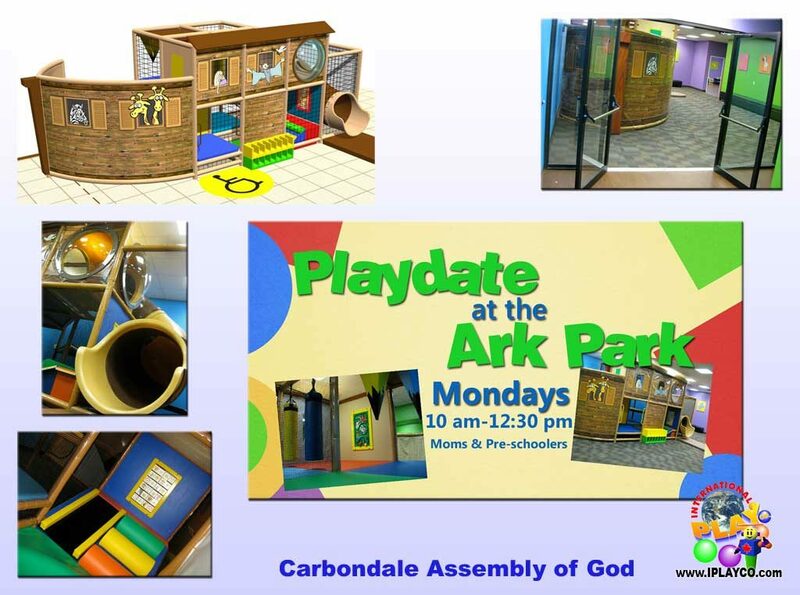 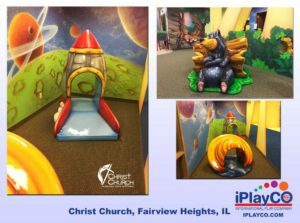 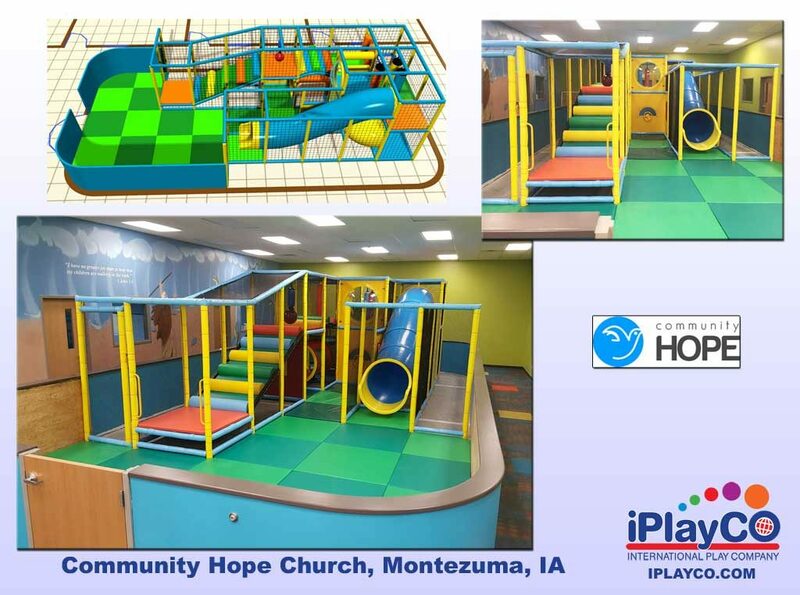 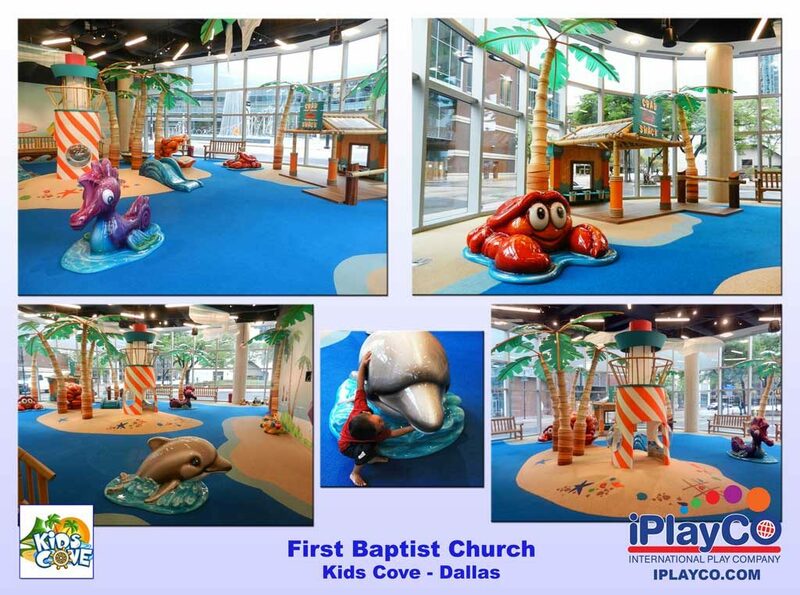 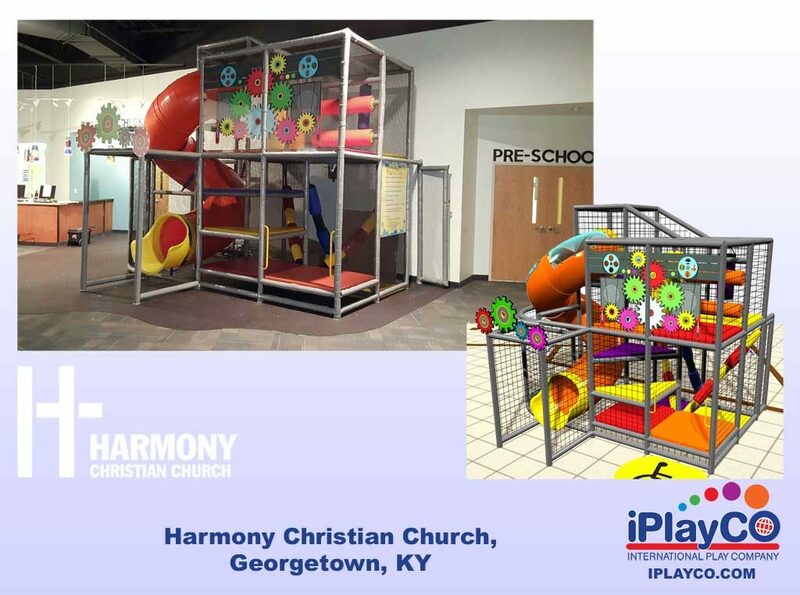 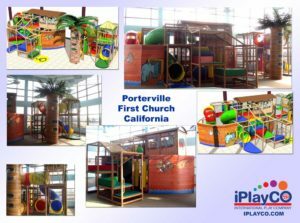 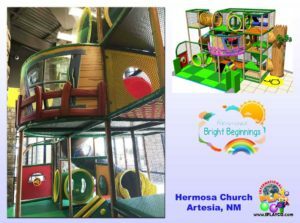 Churches with active programs are often led to install play structures and outside play areas. 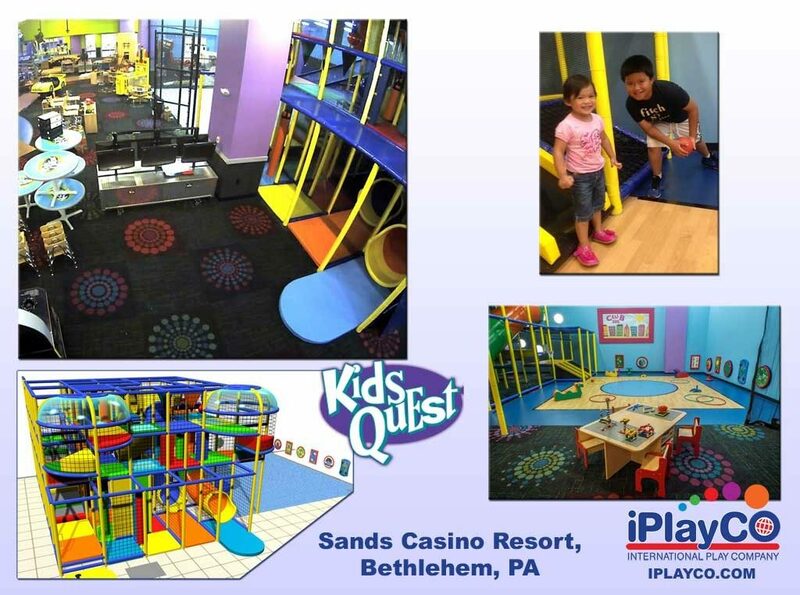 Kids Love To Play! Give them the opportunity with a well organized, well equipped children’s ministry. 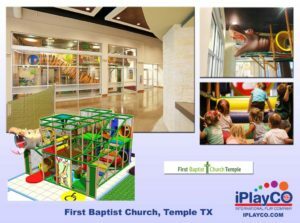 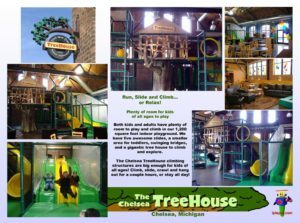 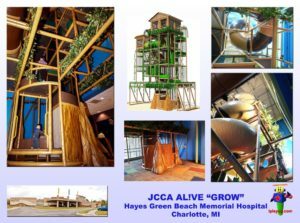 A play structure is a natural selection to let children be kids and make the church a place where kids get excited to go. 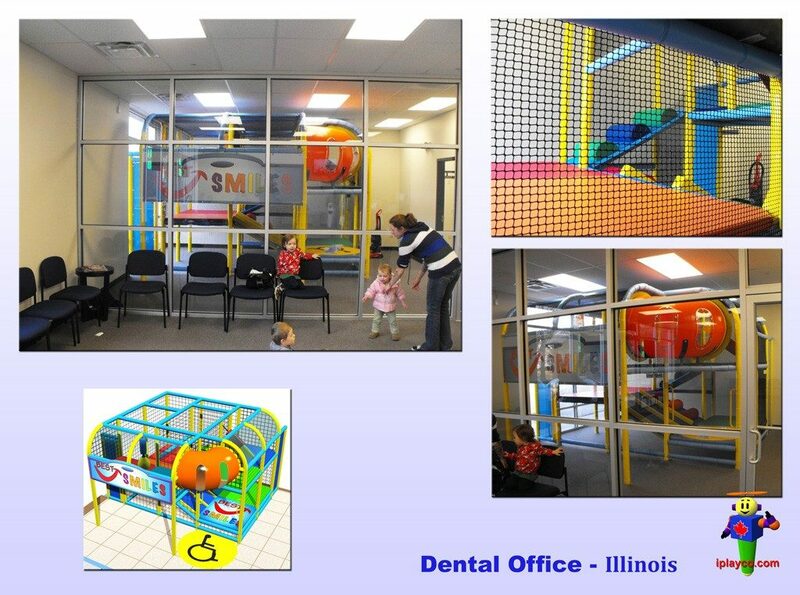 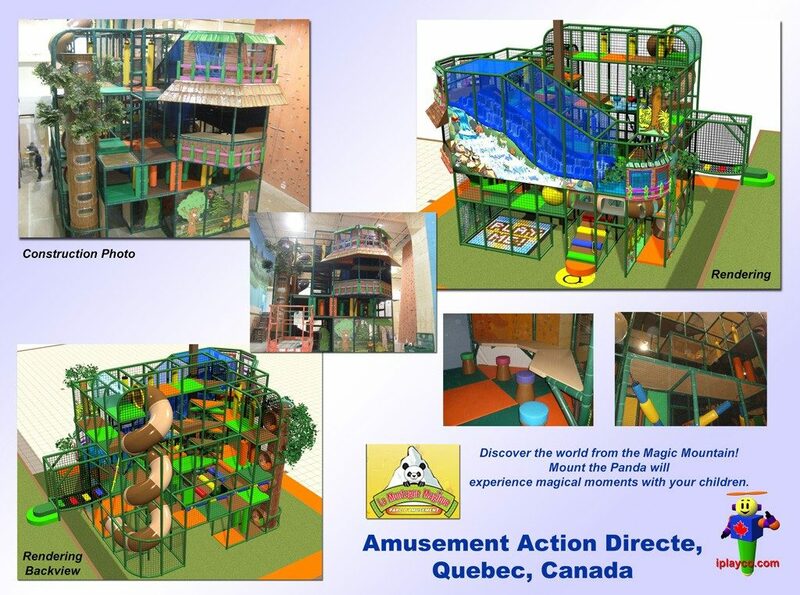 Add a soft indoor playground structure to serve as a feature. 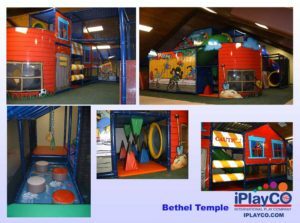 Its purpose is to attract families and children to your ministry, enabling children to play with others and have fun. Play is critical to a child’s development. 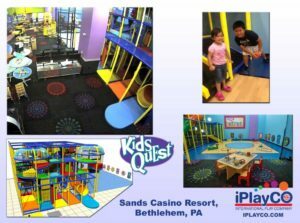 Kids Love To Play! 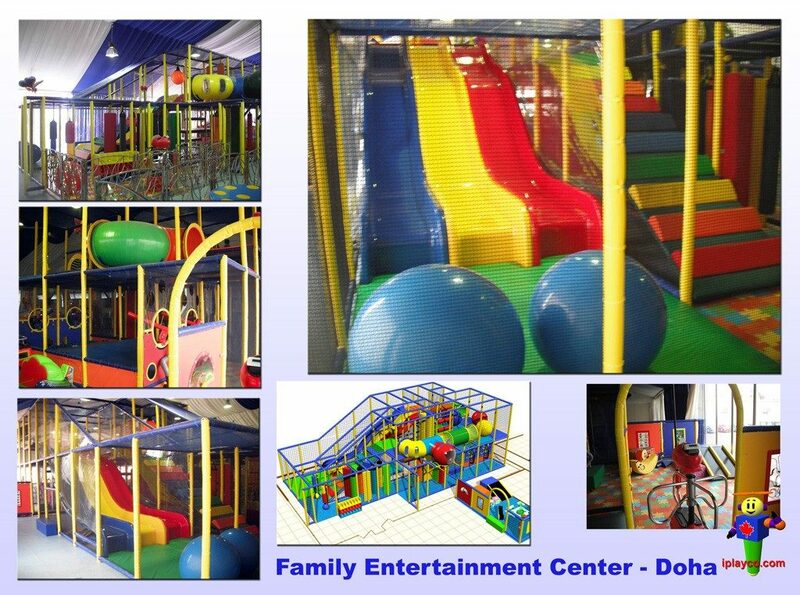 Give them the opportunity with a well organized, well equipped Family Entertainment Center (FEC). A play structure is a natural selection to let children be kids and make an FEC a place where kids get excited to go. 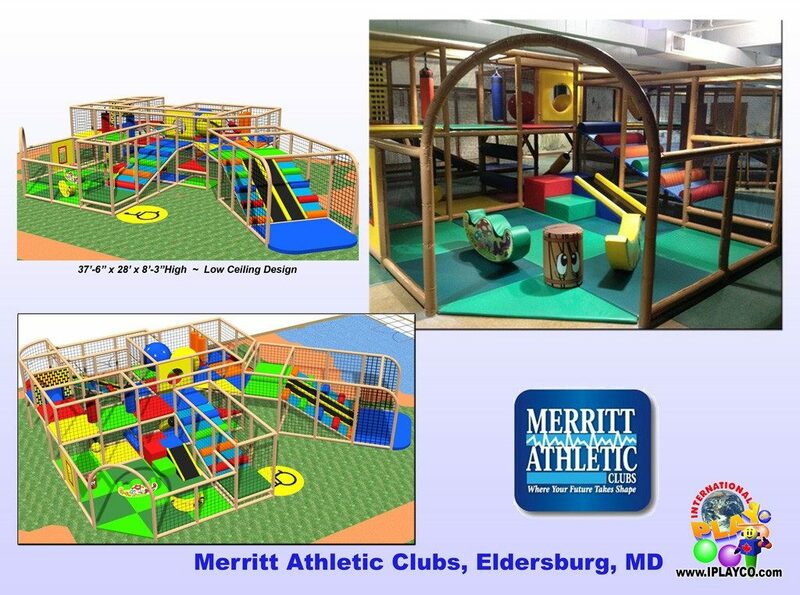 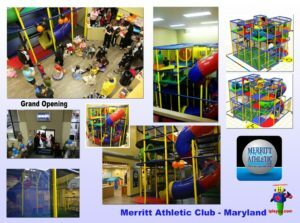 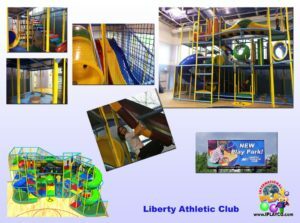 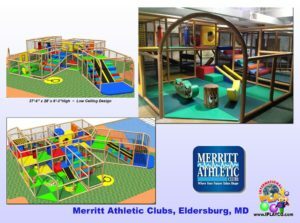 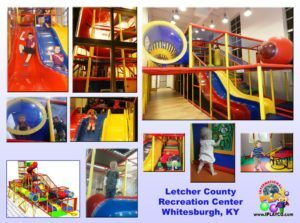 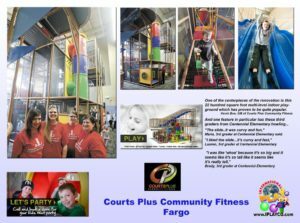 Add a soft indoor playground structure to serve as a feature to your Fitness Center, Recreation Center and Private Club Installation. 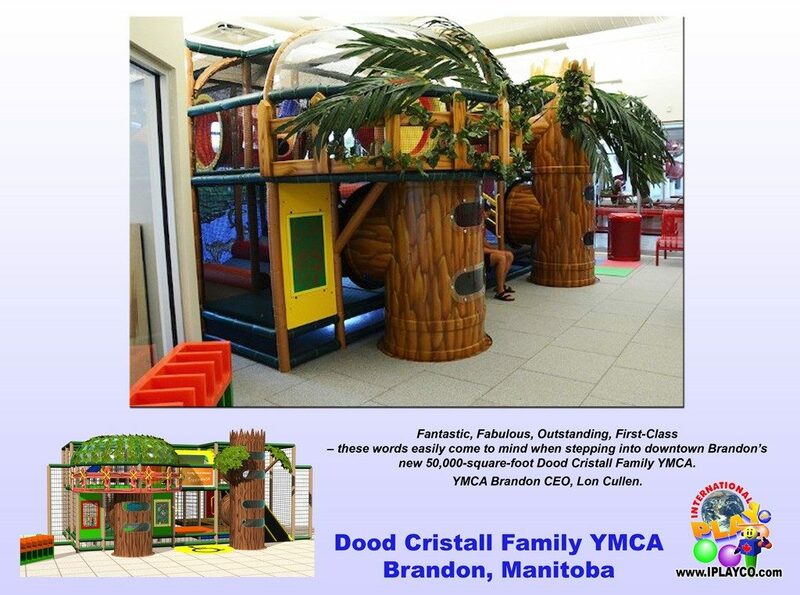 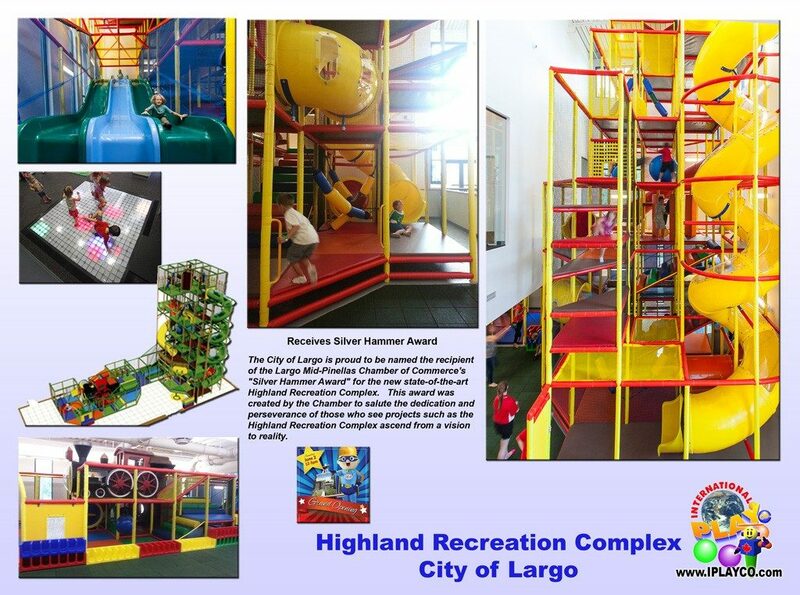 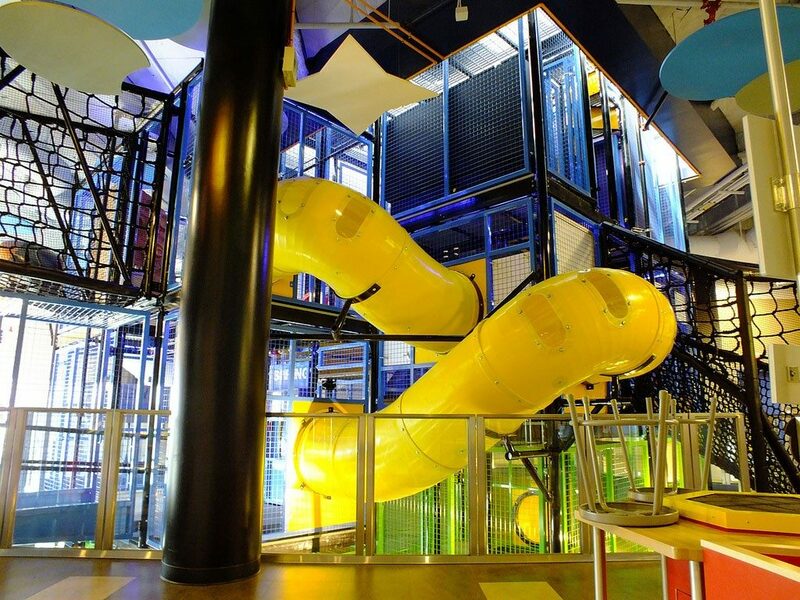 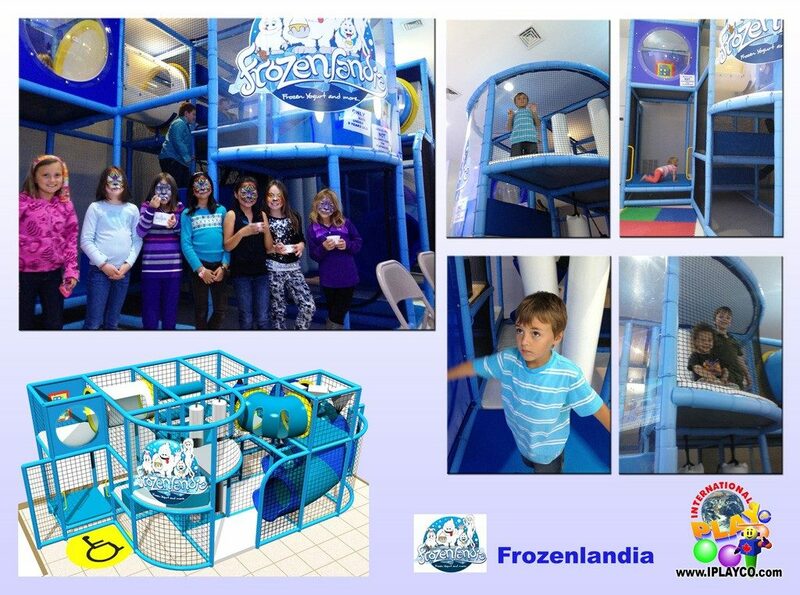 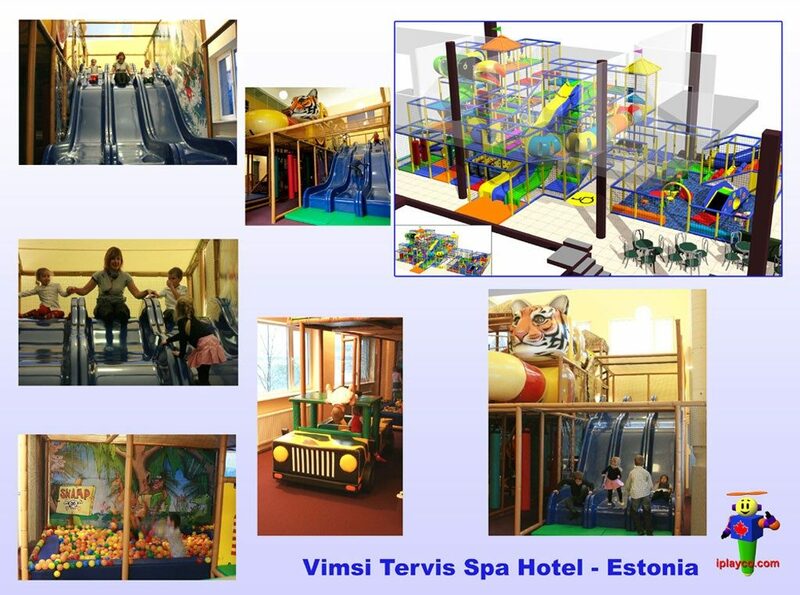 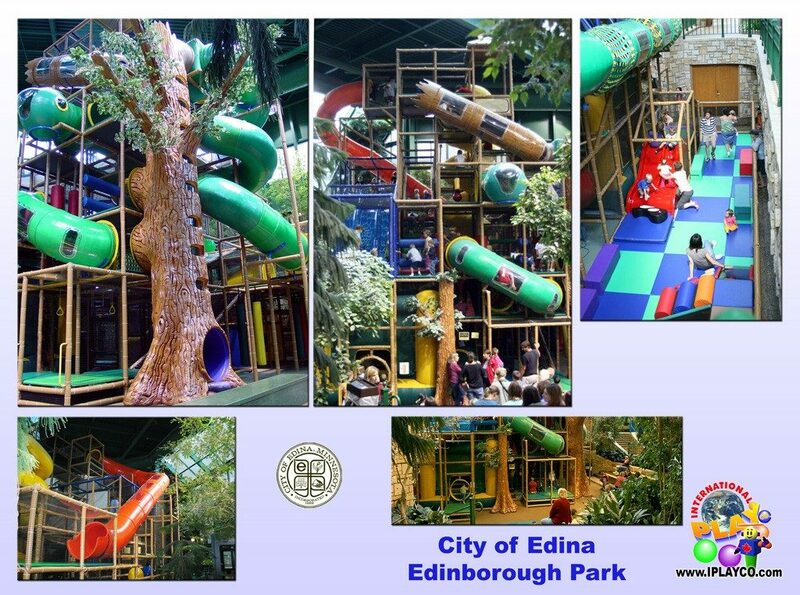 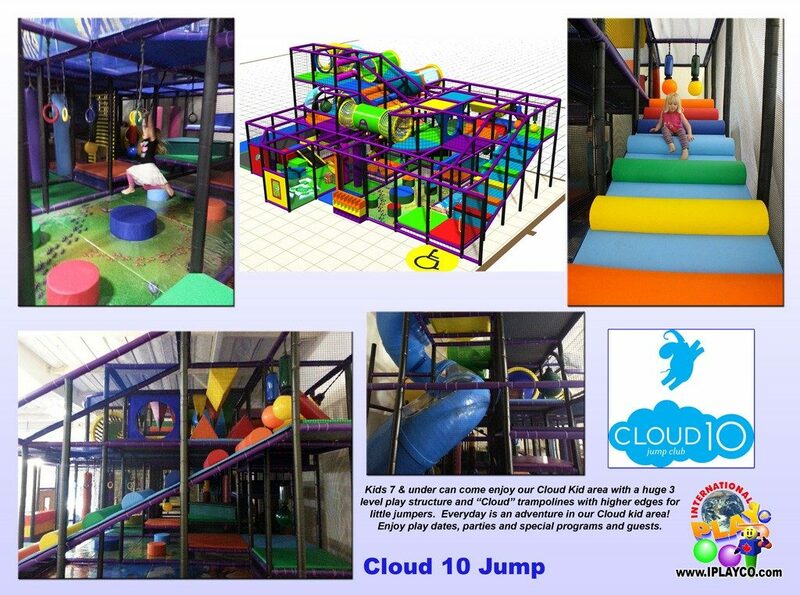 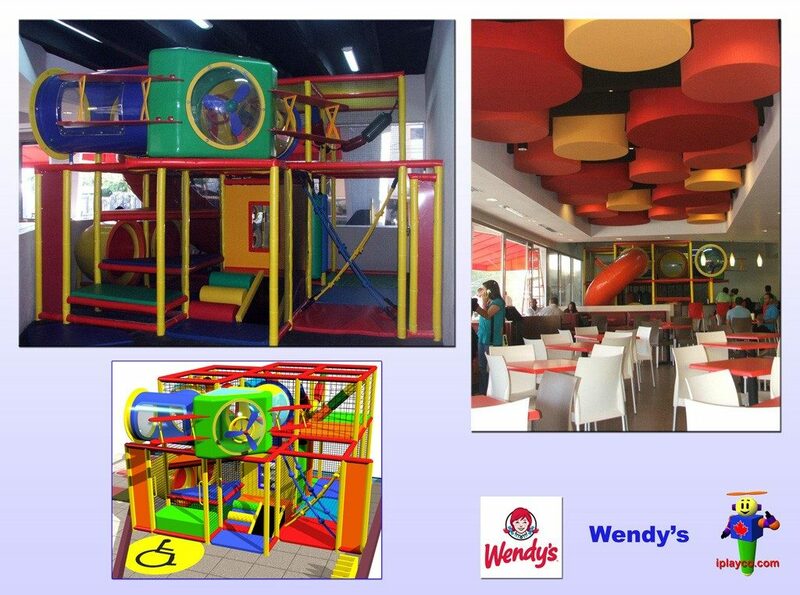 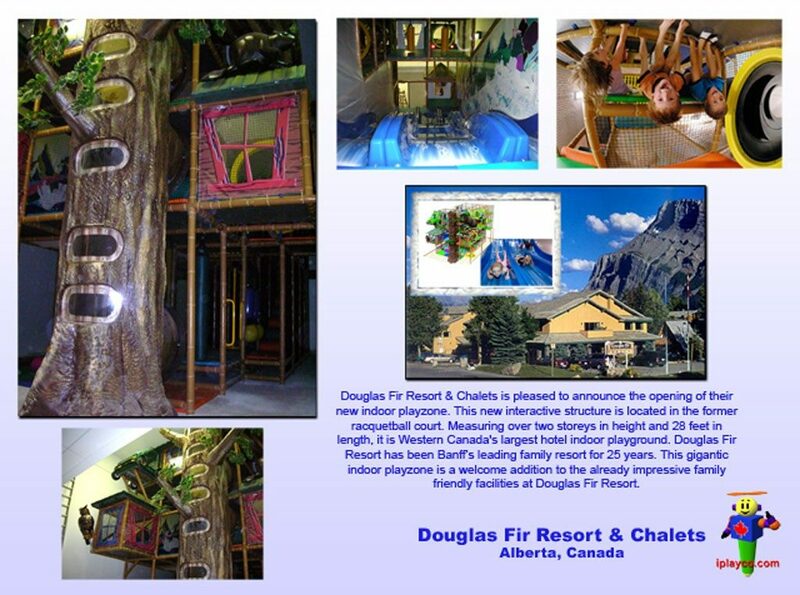 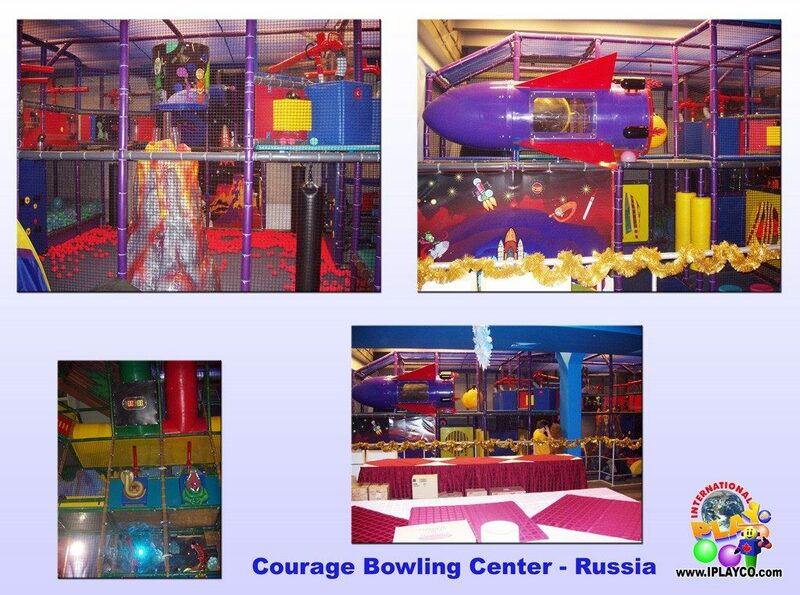 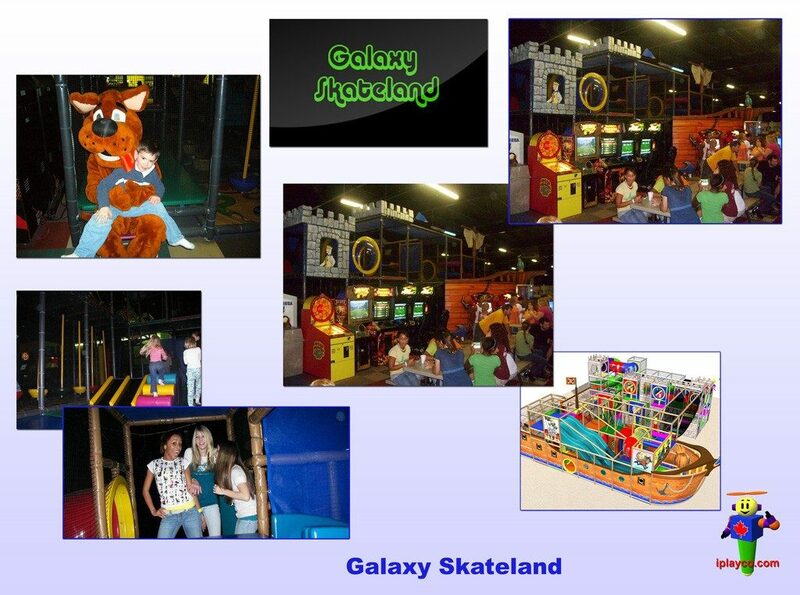 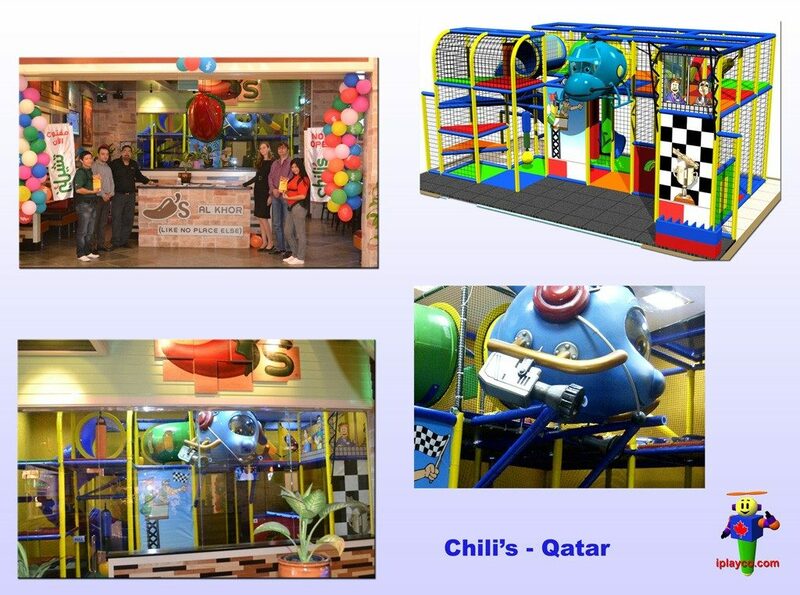 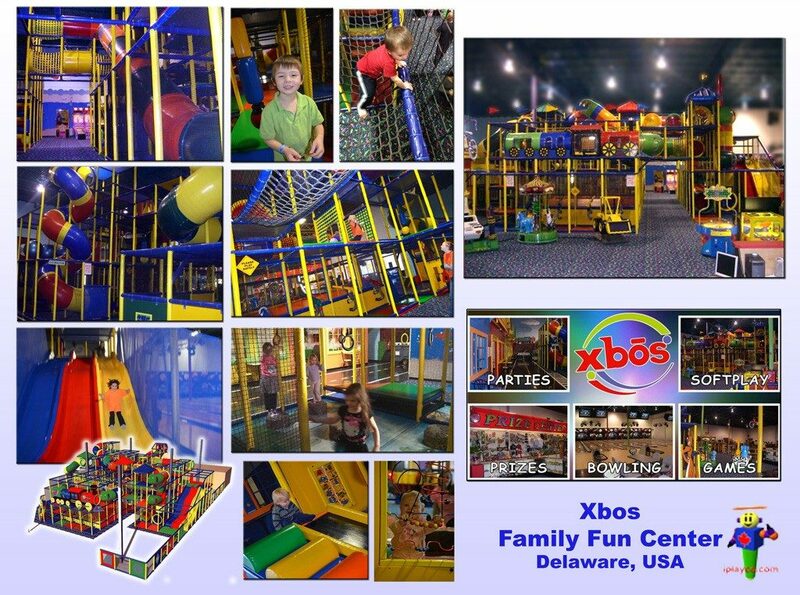 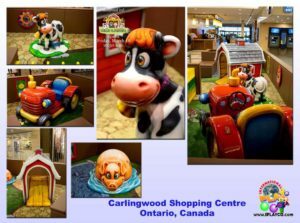 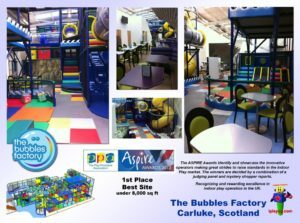 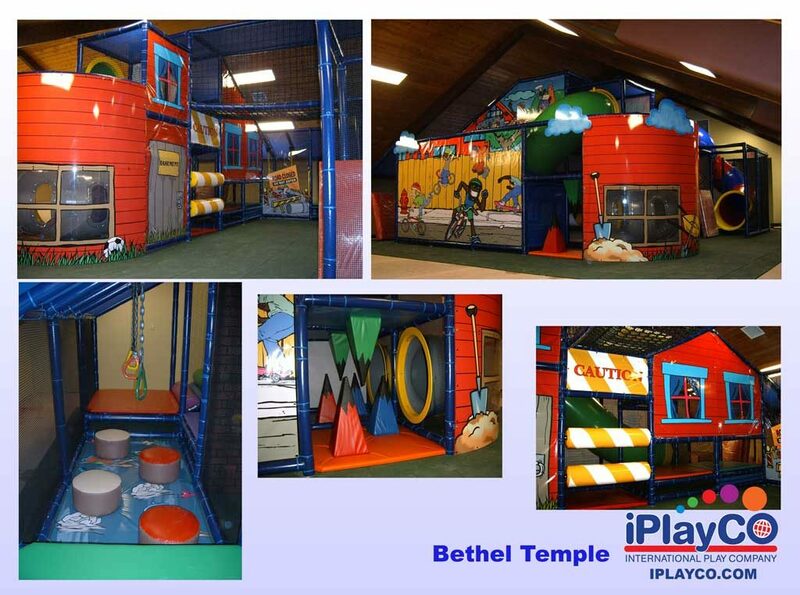 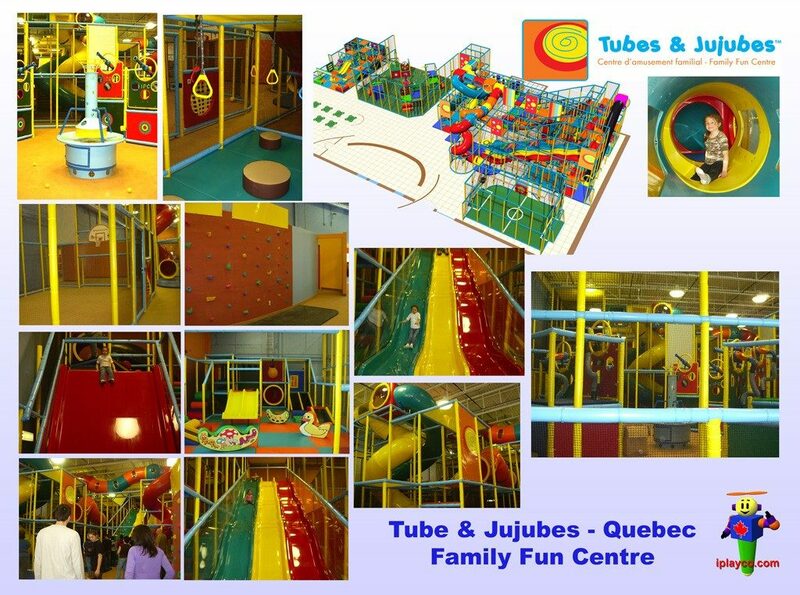 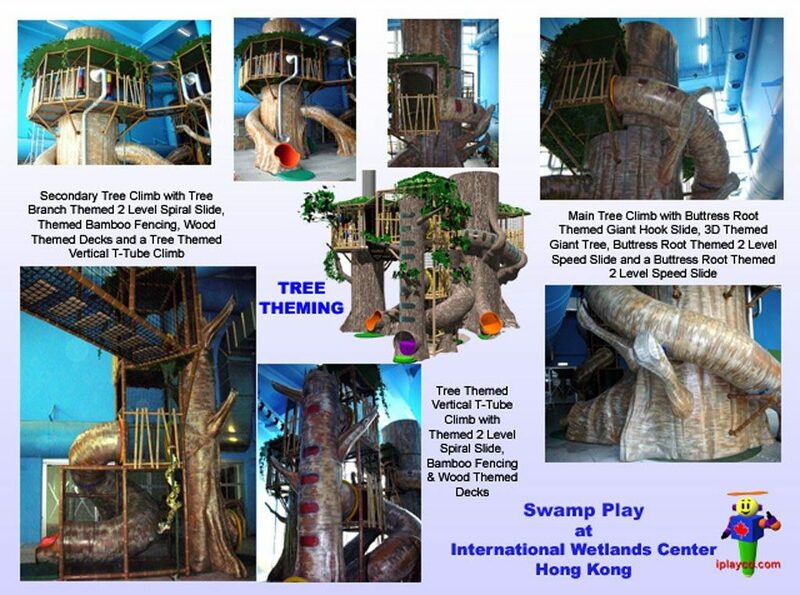 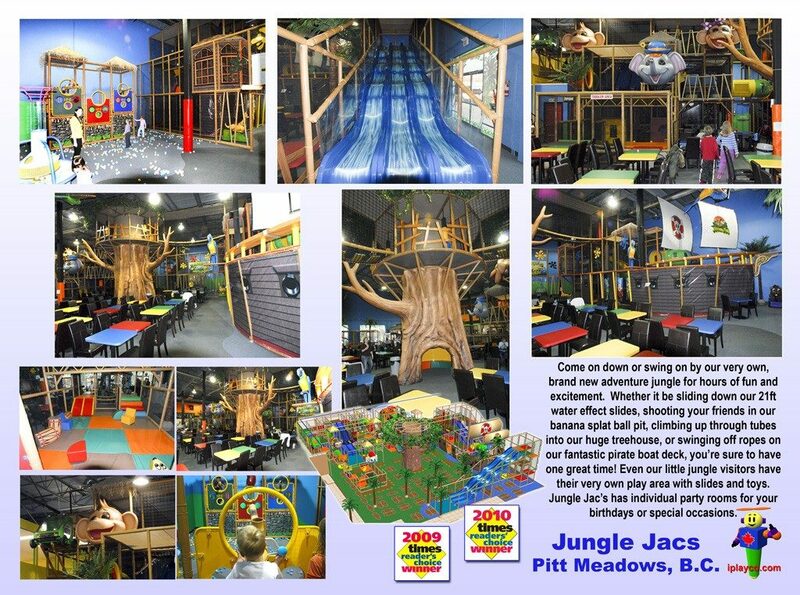 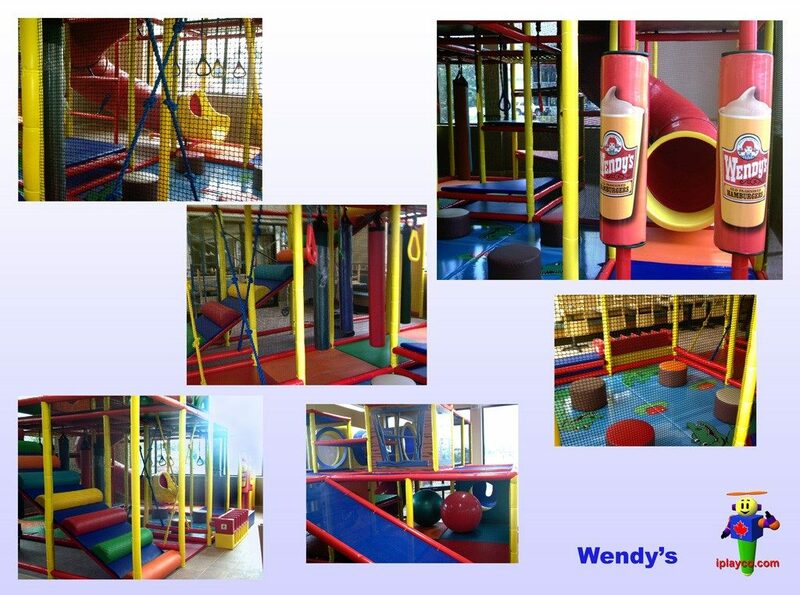 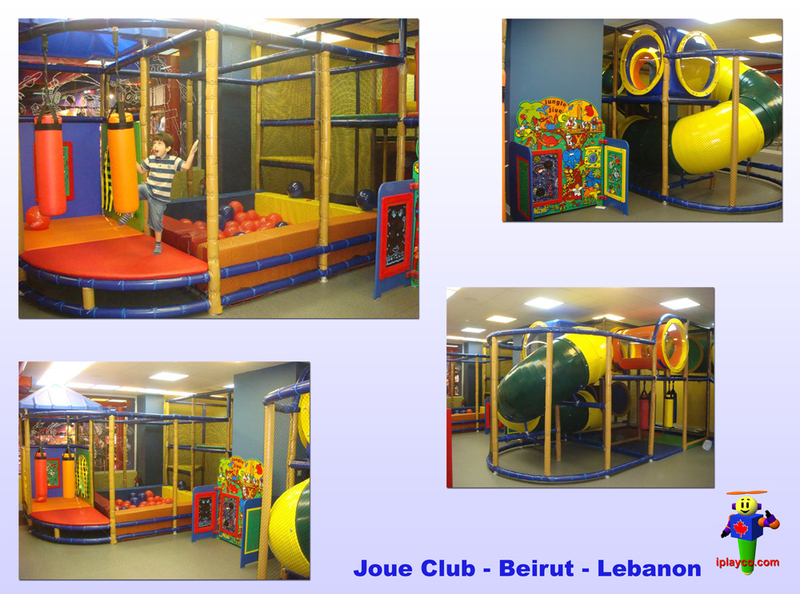 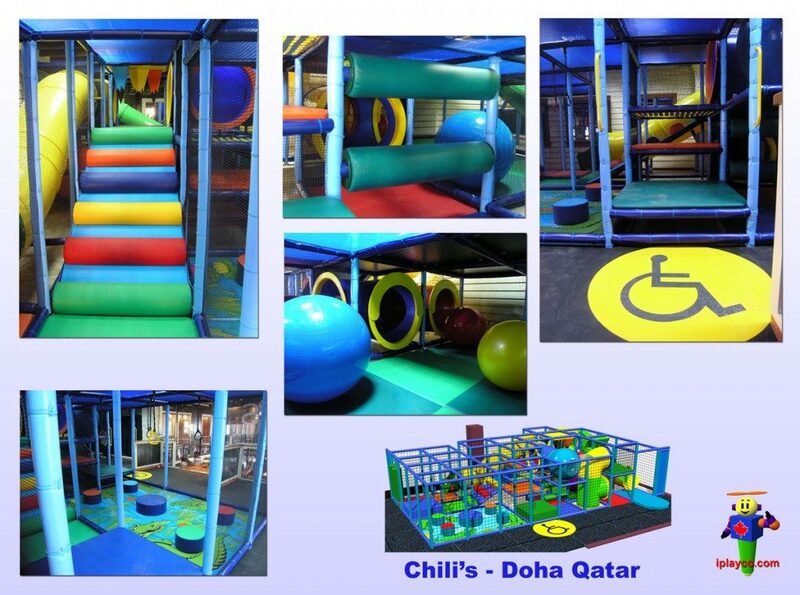 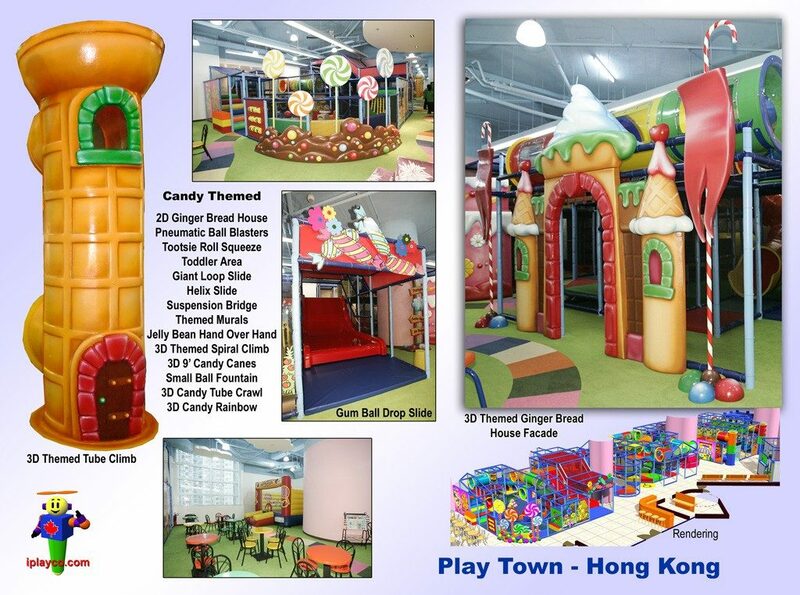 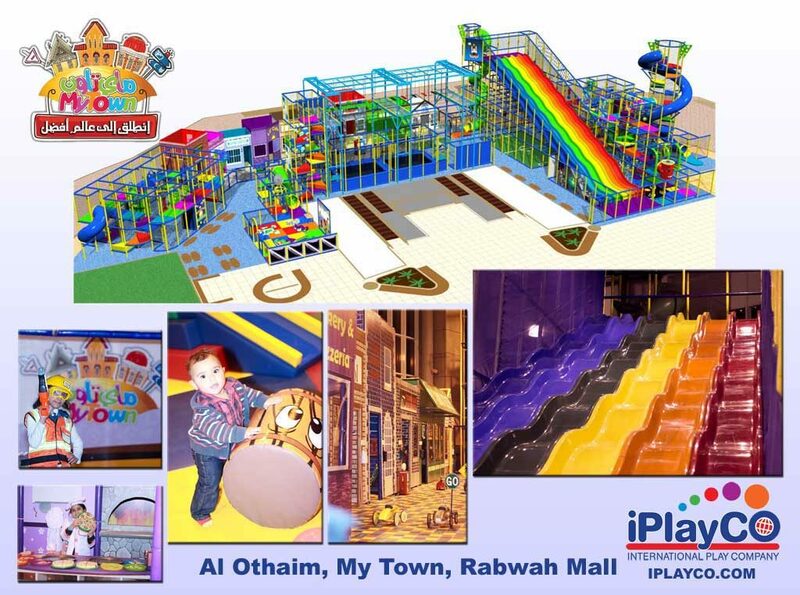 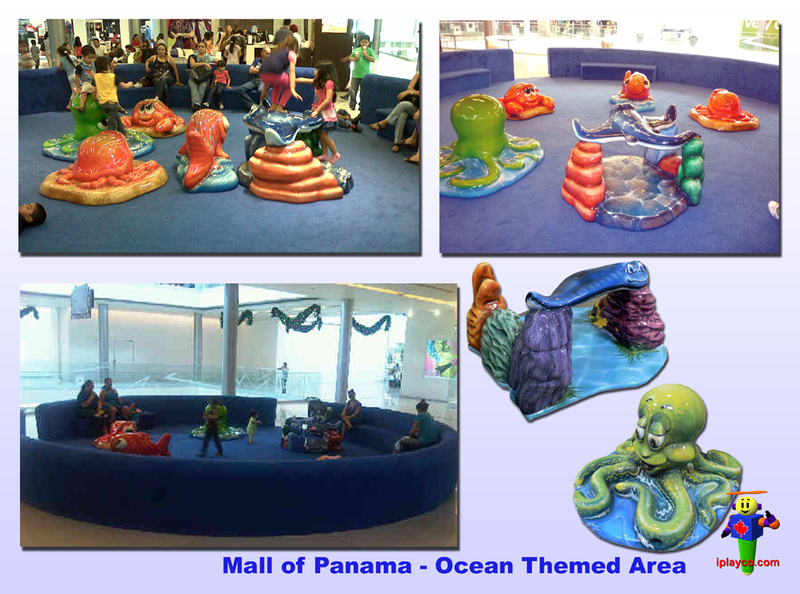 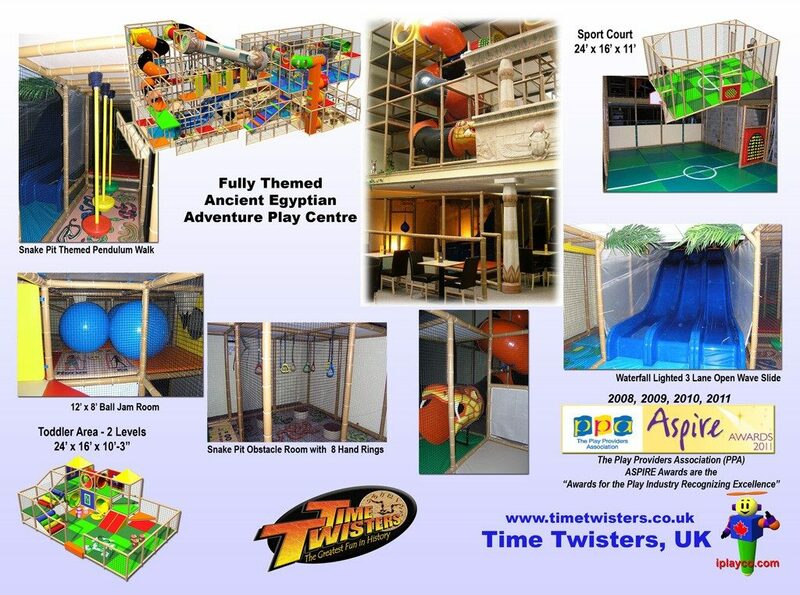 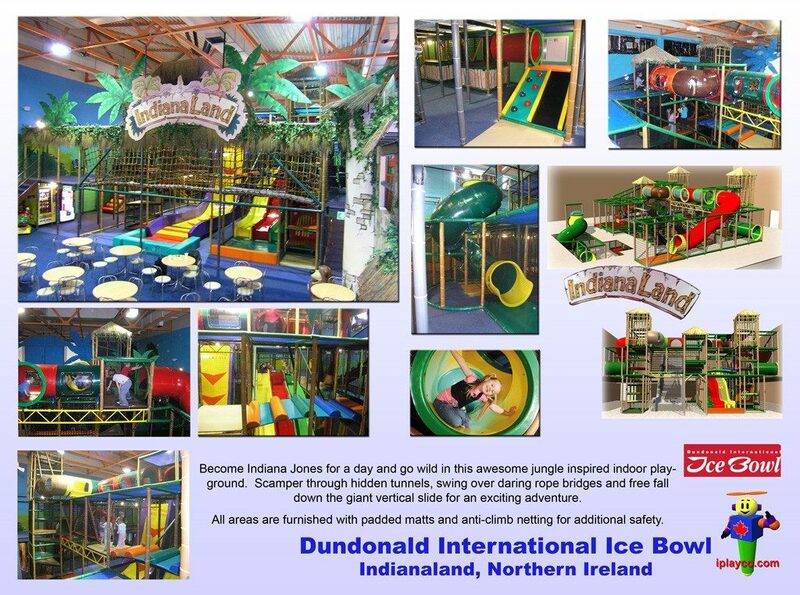 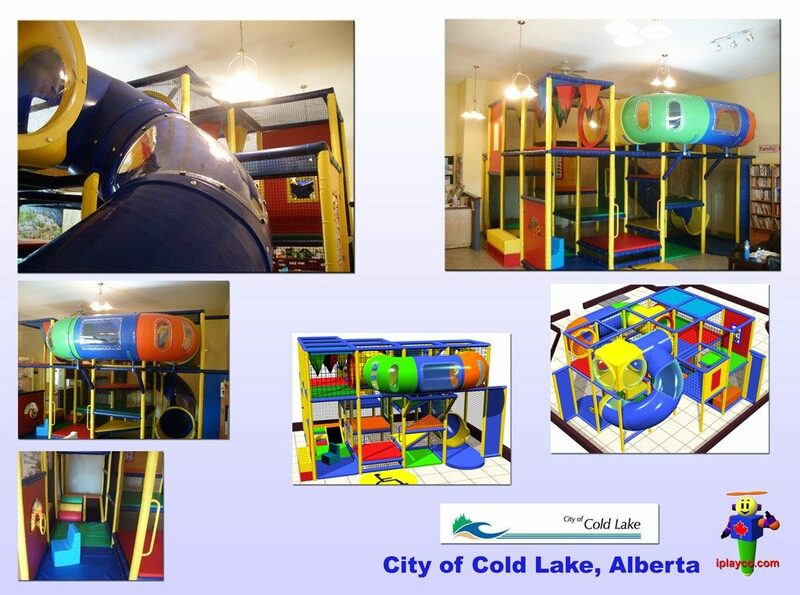 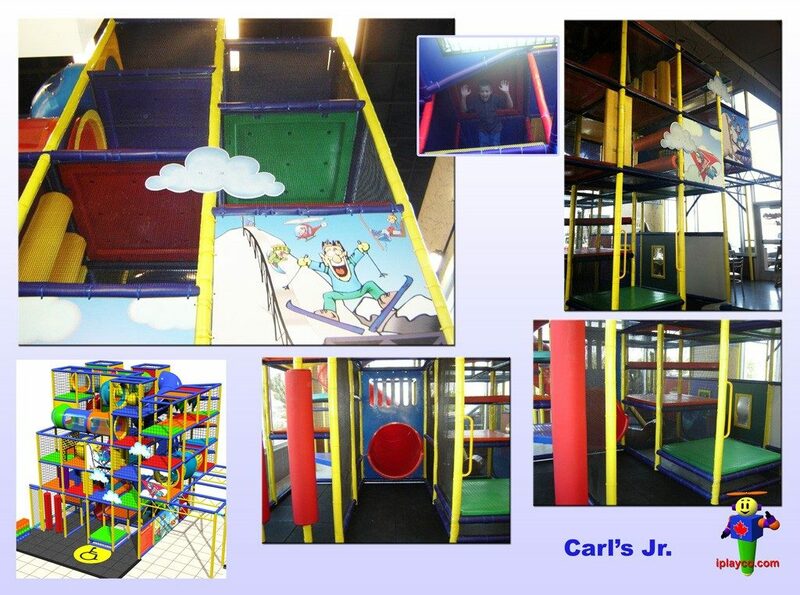 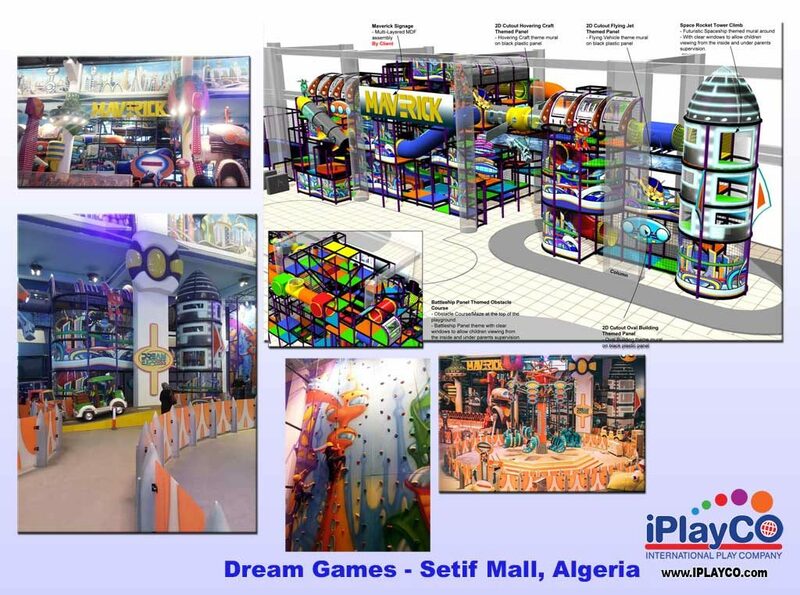 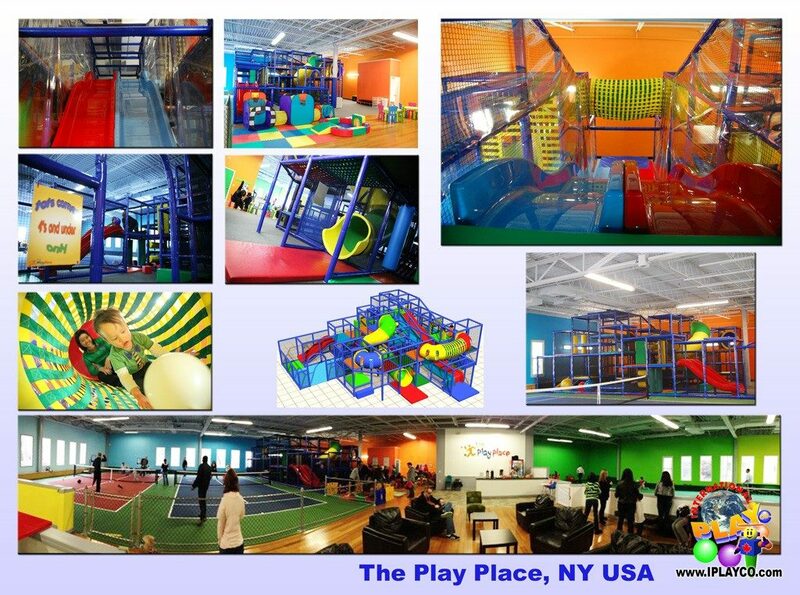 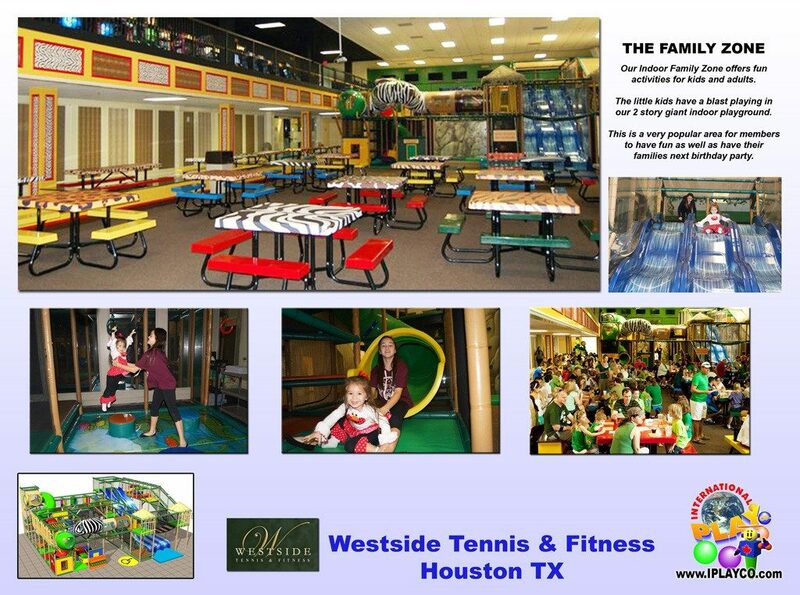 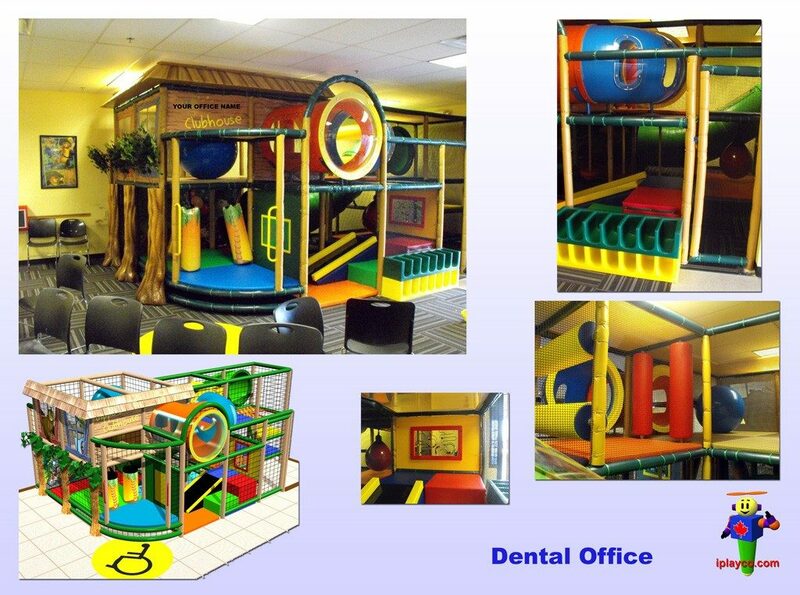 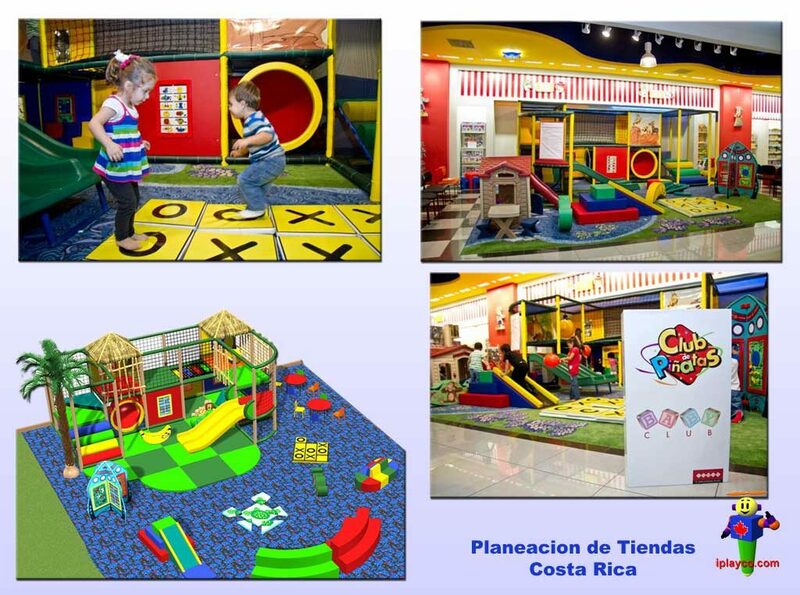 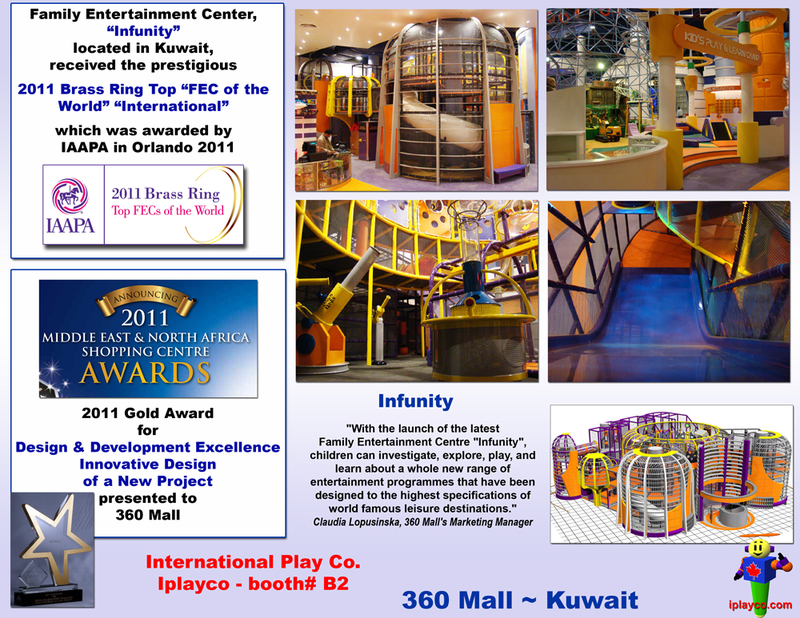 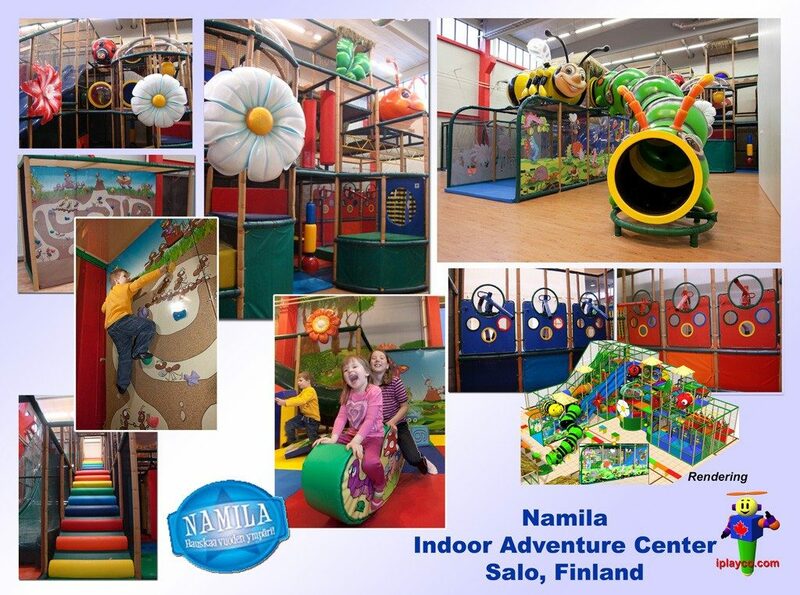 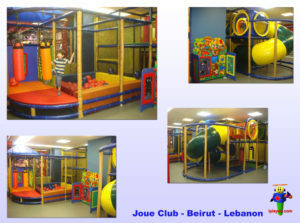 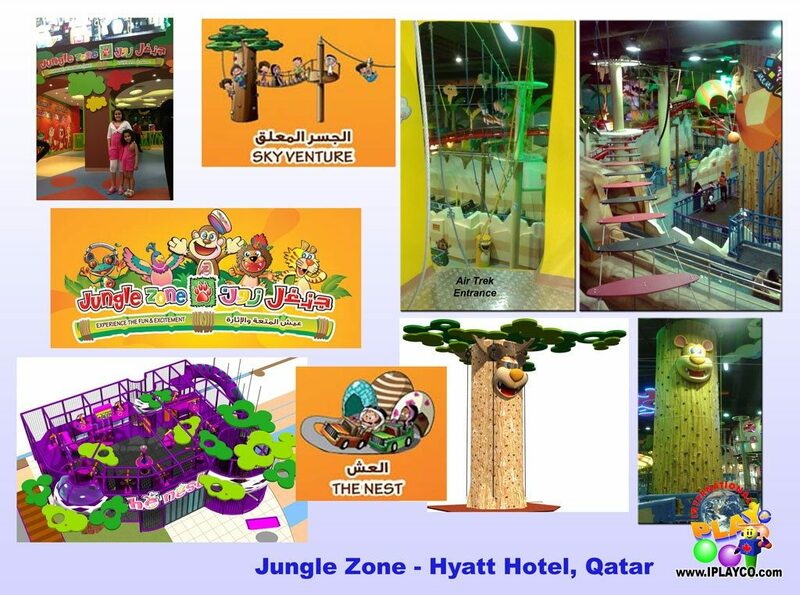 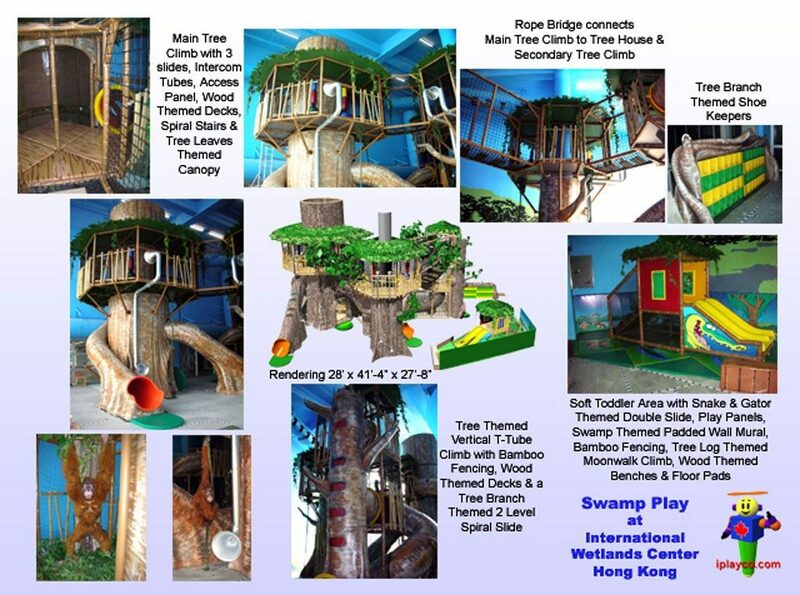 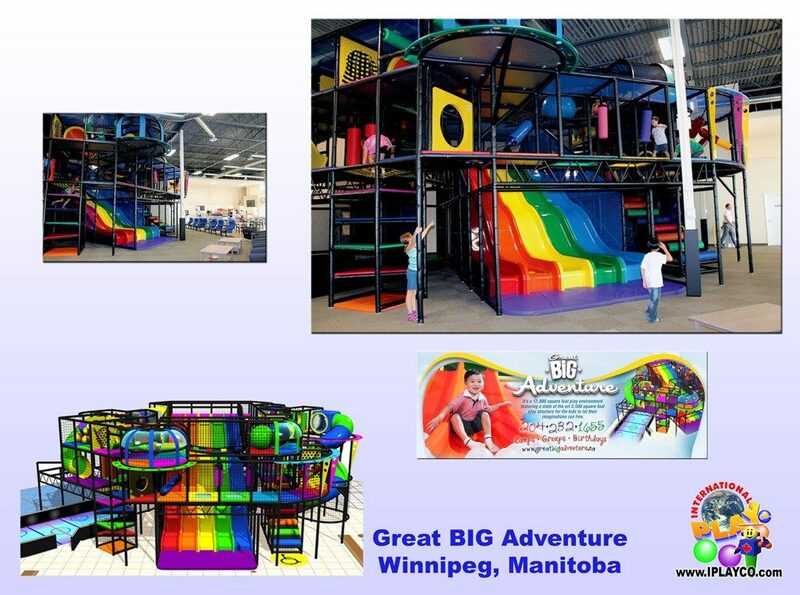 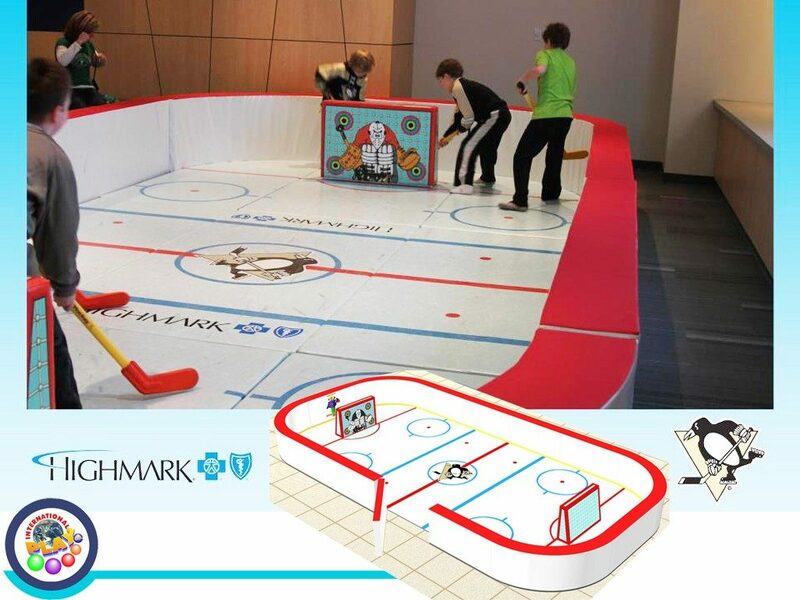 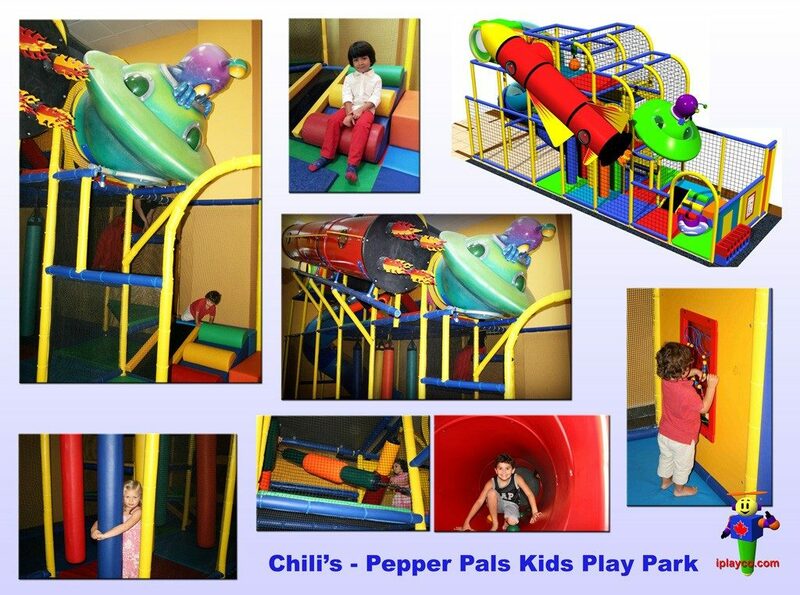 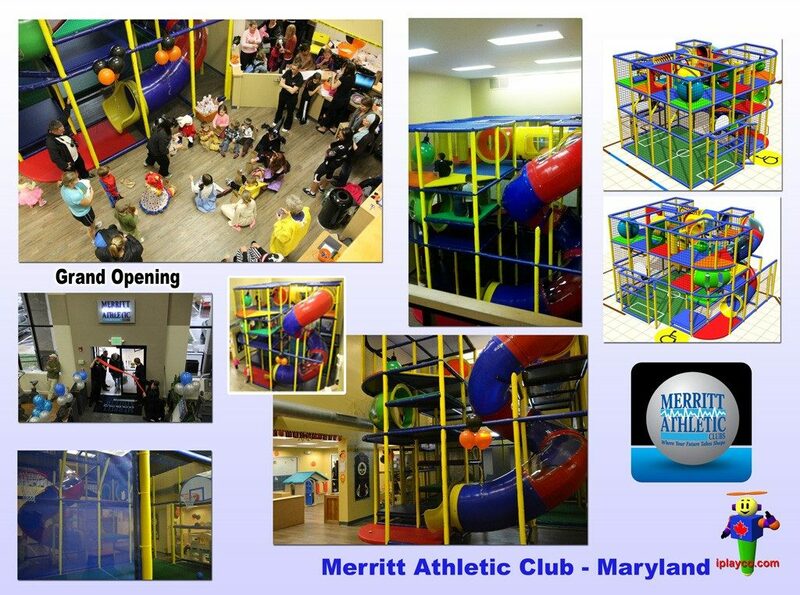 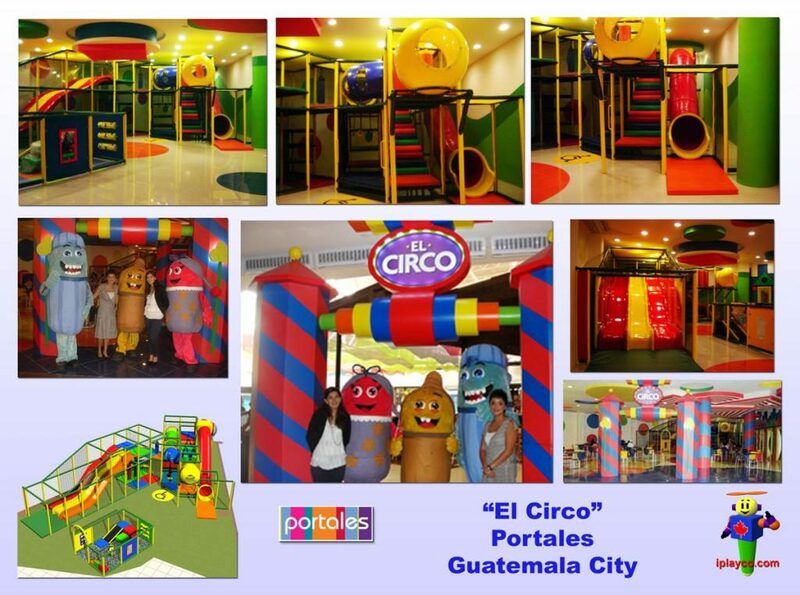 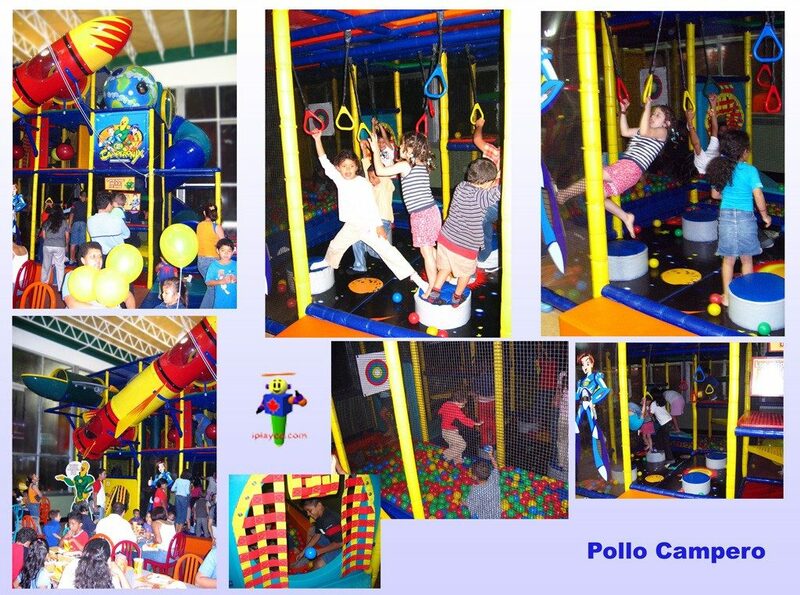 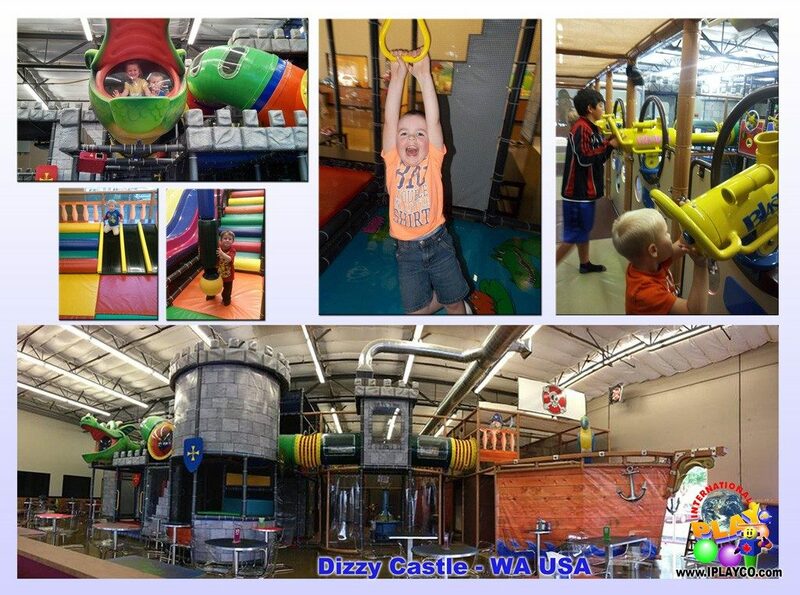 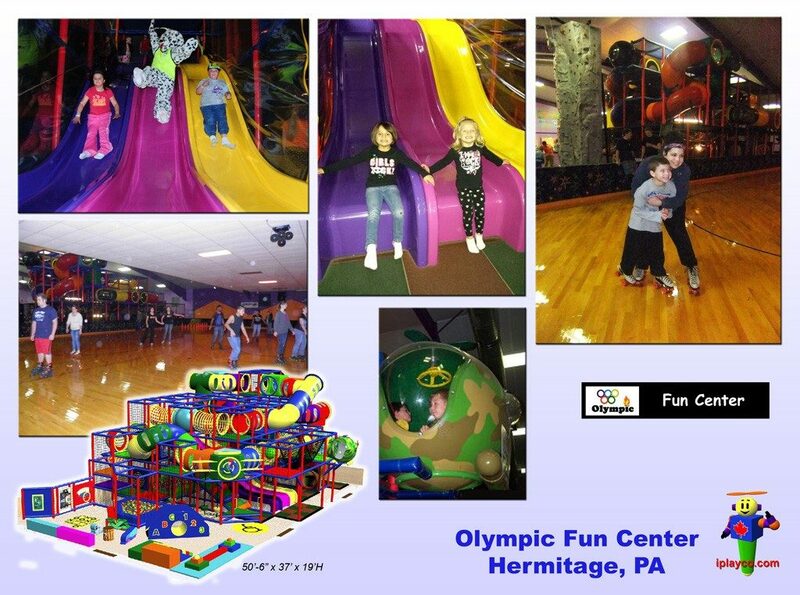 Its purpose is to attract families and children to your facility, enabling children to play with others and have fun. Play is critical to a child’s development. 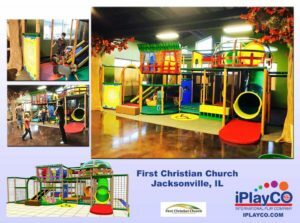 Kids Love To Play! 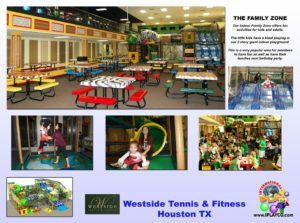 Give them the opportunity with a well organized, well equipped Fitness Center, Recreation Center and Private Club Installations. 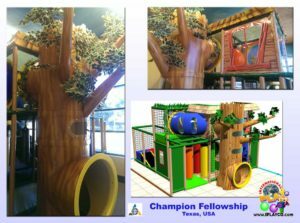 A play structure is a natural selection to let children be kids and make a place where kids get excited to go. 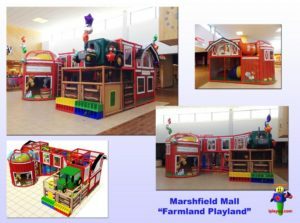 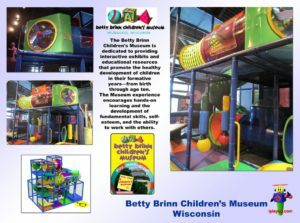 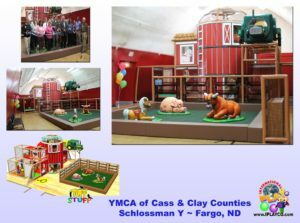 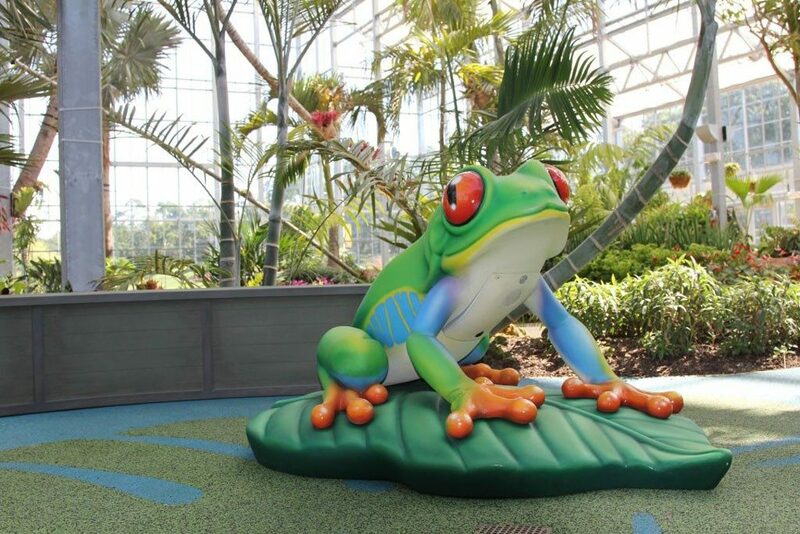 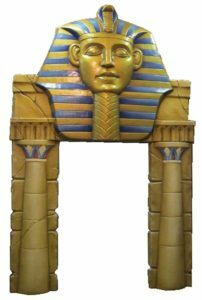 Add a soft indoor playground structure to serve as a feature to your museum. 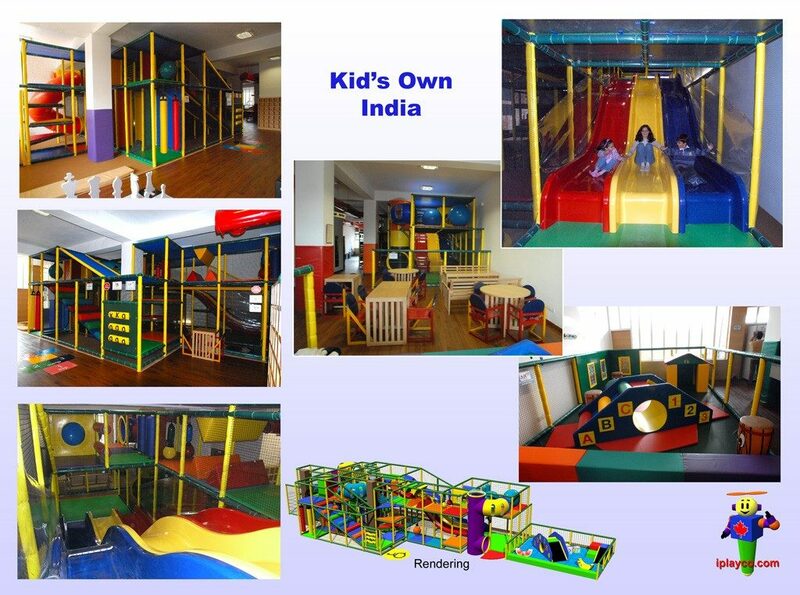 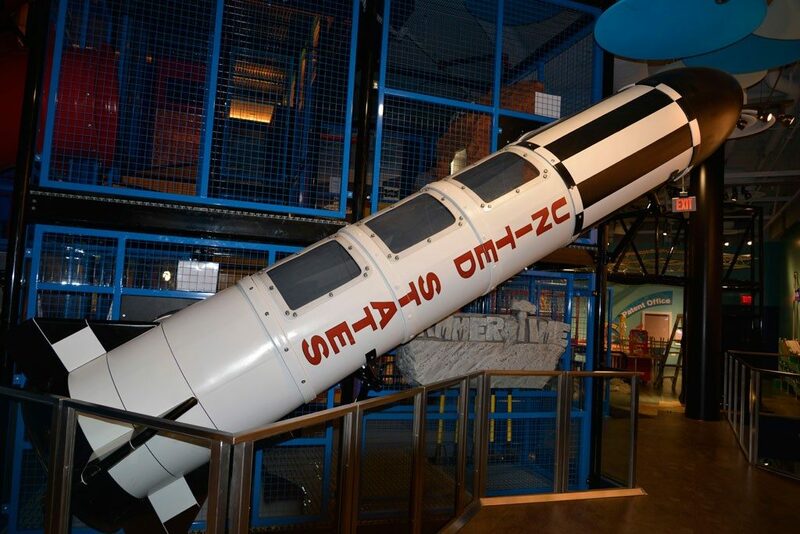 Its purpose is to attract families and children to your museum, enabling children to play with others and have fun. 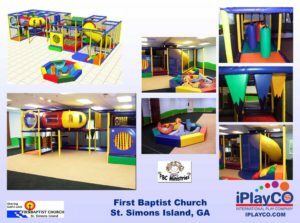 Play is critical to a child’s development. Kids Love To Play! 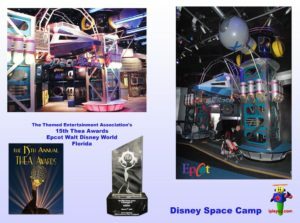 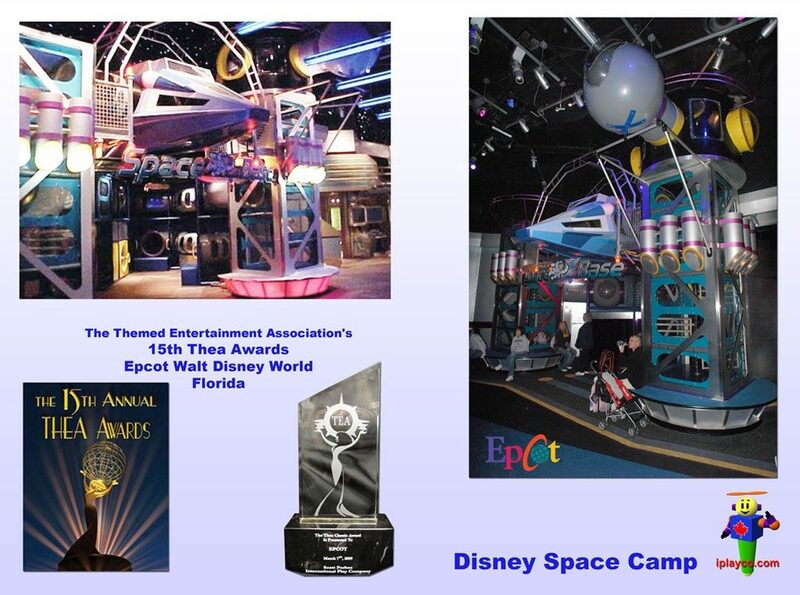 Give them the opportunity with a well organized, well equipped Museum Installation. A play structure is a natural selection to let children be kids and make a place where kids get excited to go. 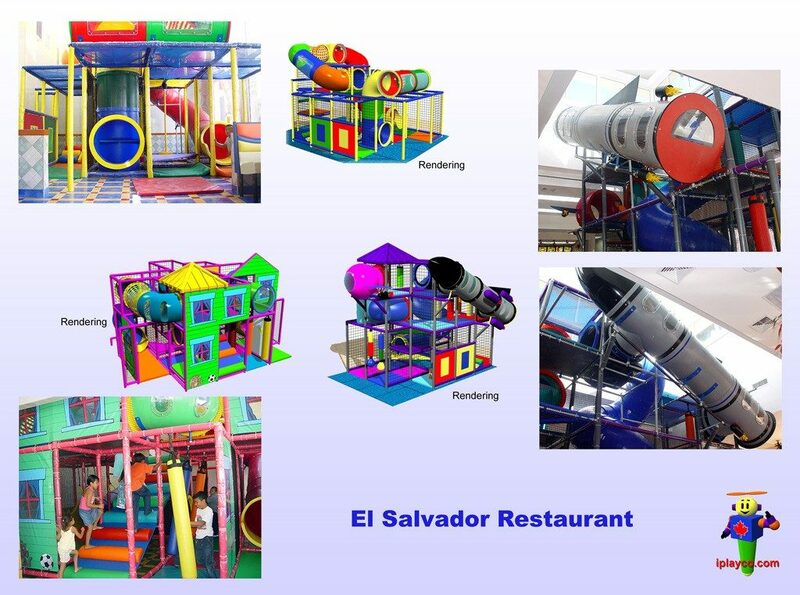 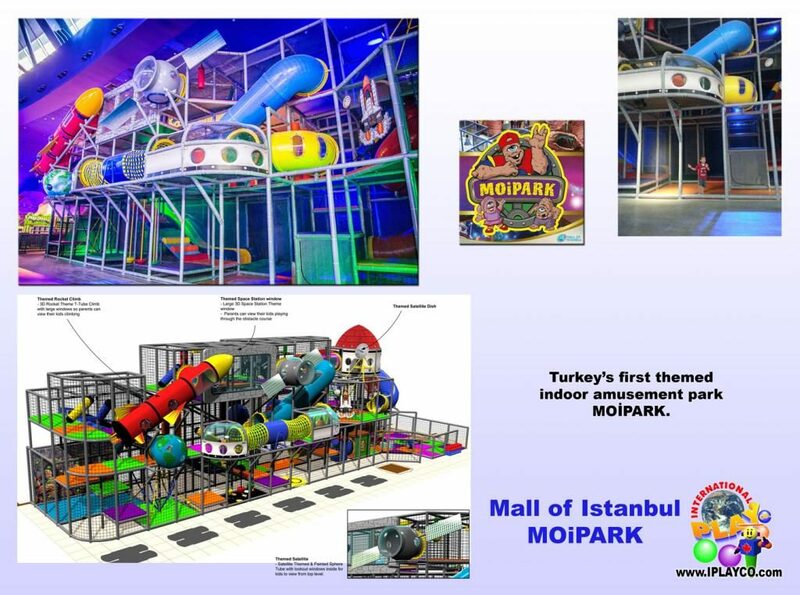 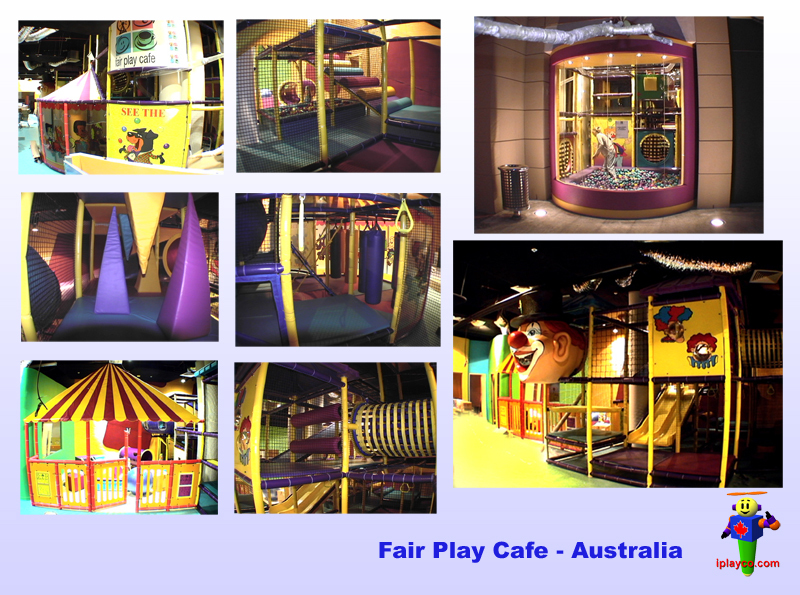 Soft indoor playground areas provide a fun place for the children to stay busy while mom and dad eat at the restaurants. Restaurants are coming up with an array of special services and giving their customers a memorable eating experience to encourage many return visits. 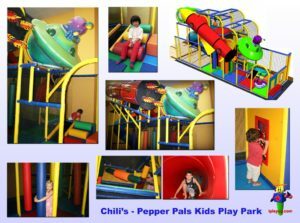 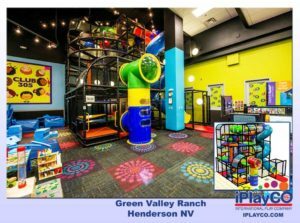 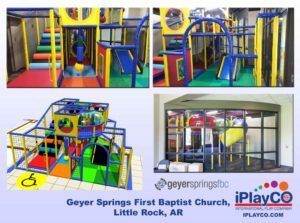 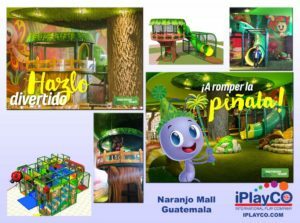 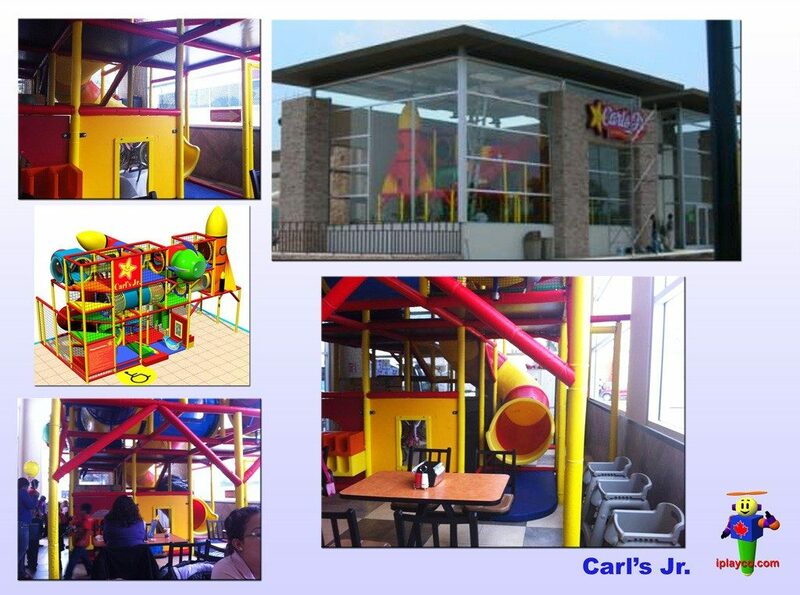 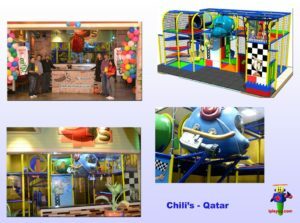 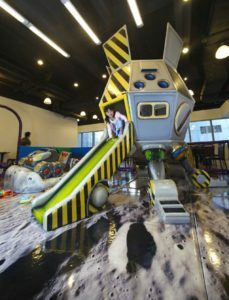 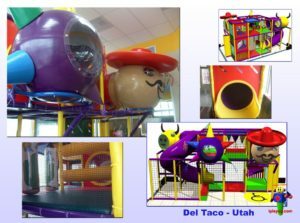 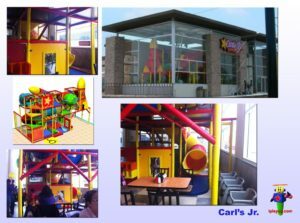 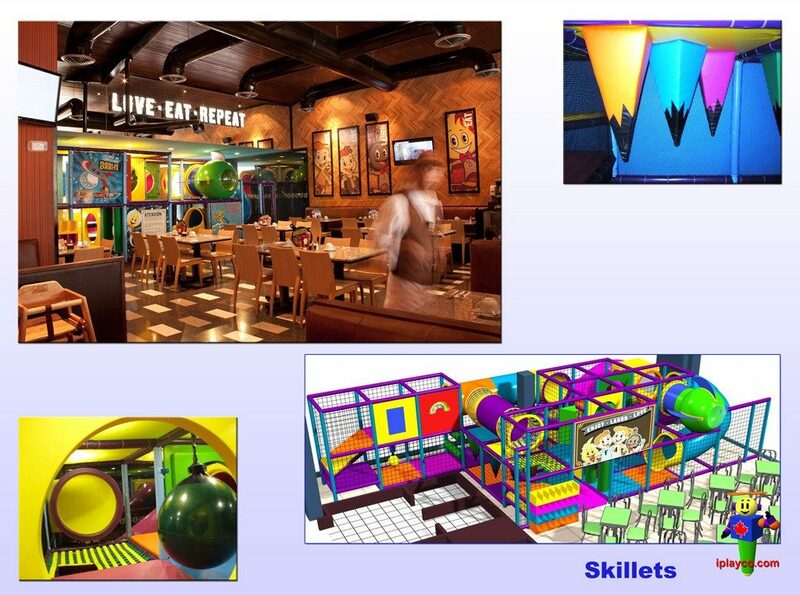 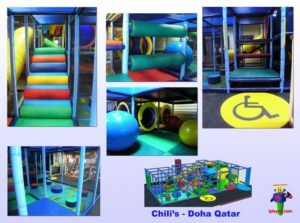 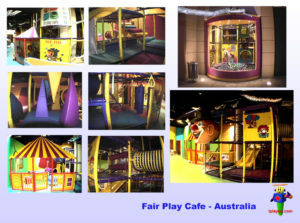 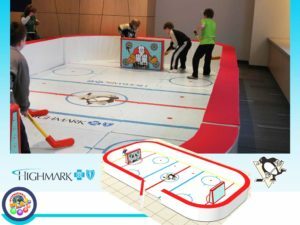 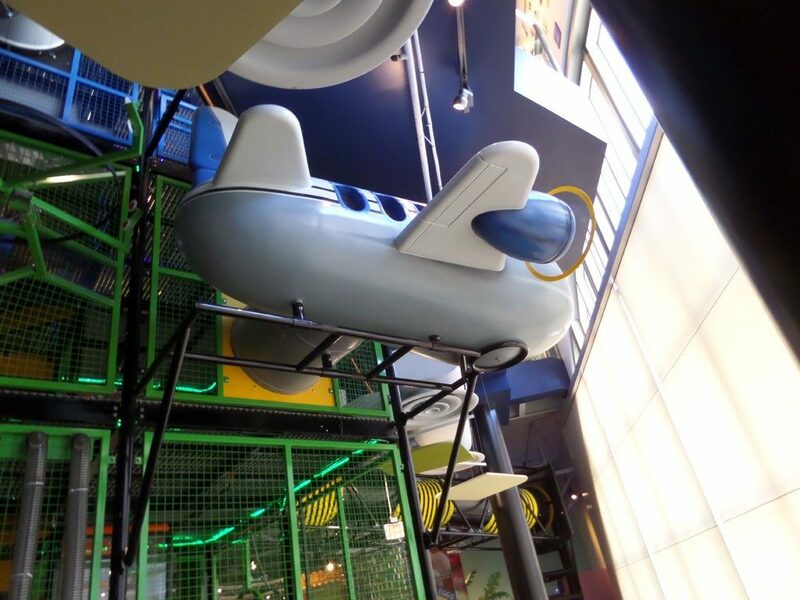 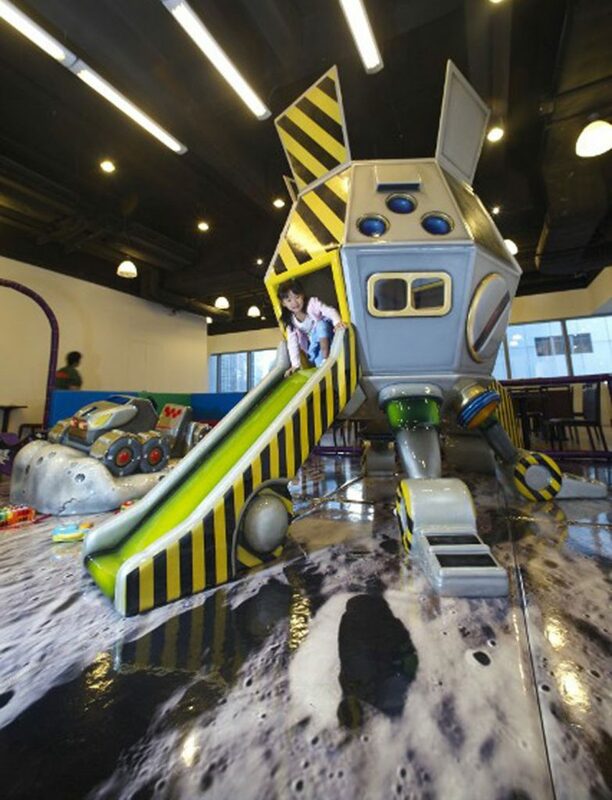 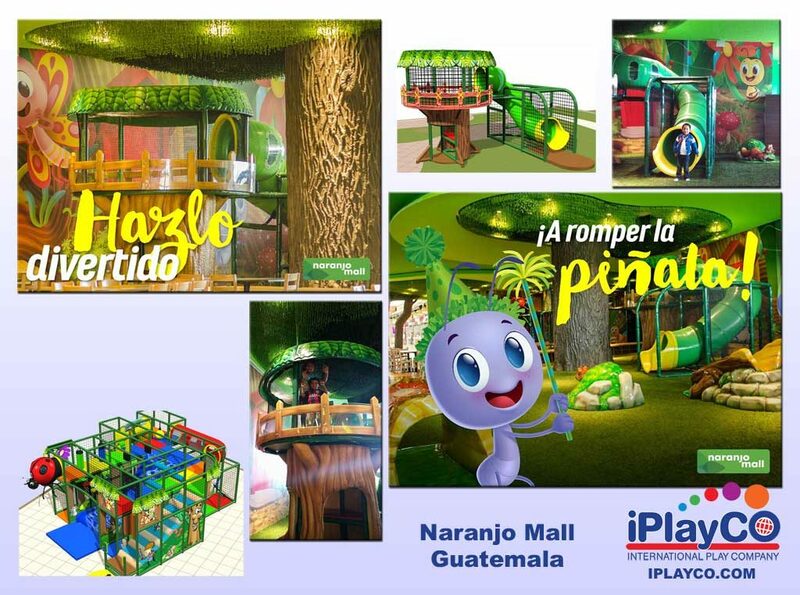 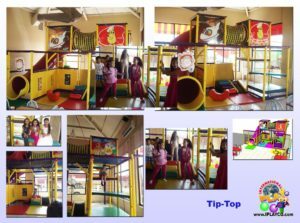 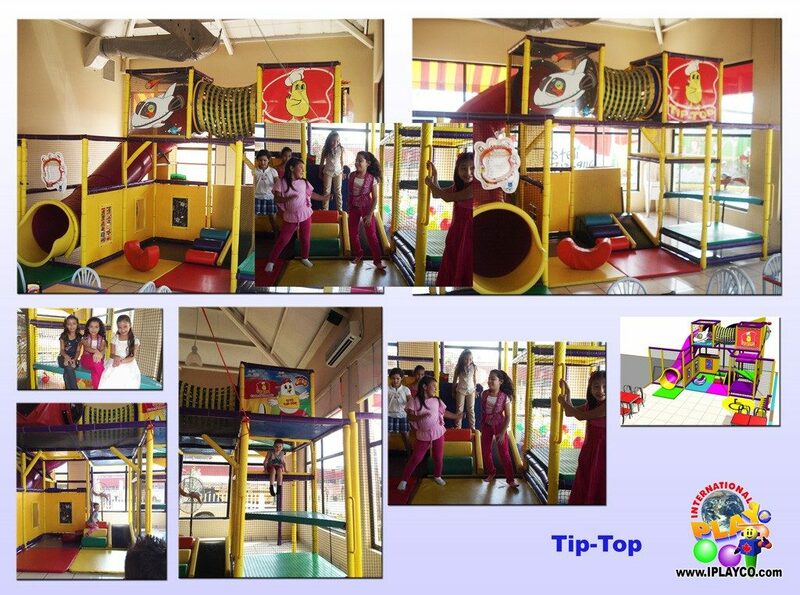 Play areas can act as fun areas for younger children to play and Iplayco can design a space that works best for your restaurant traffic patterns and customers. 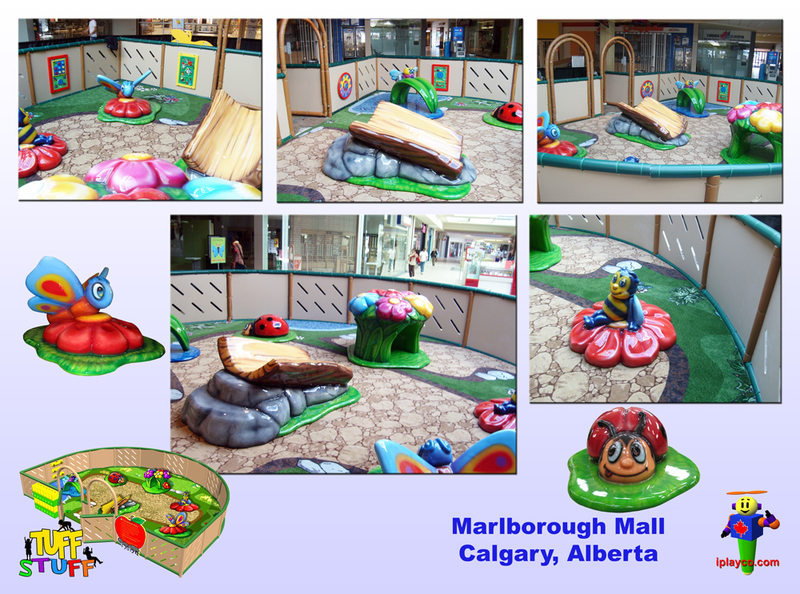 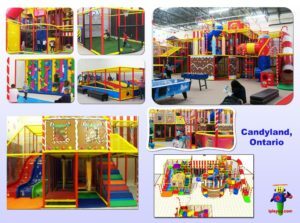 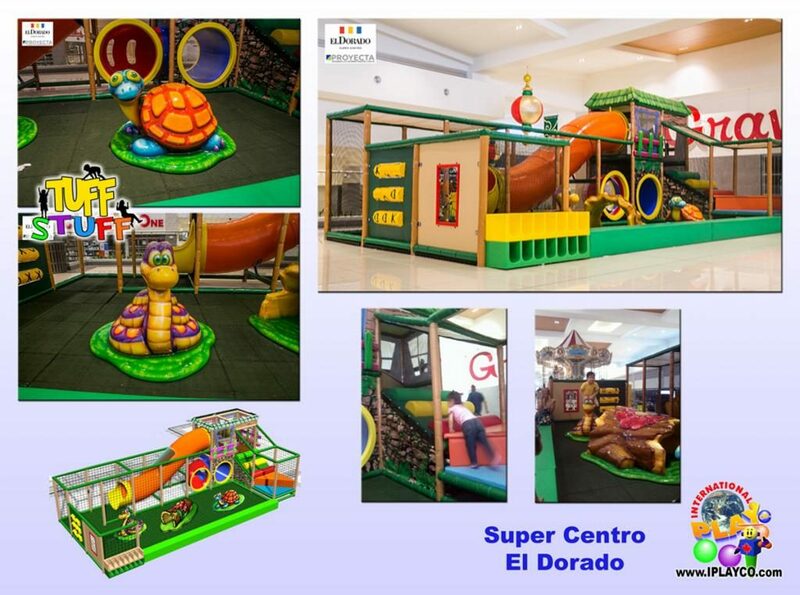 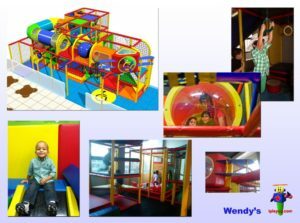 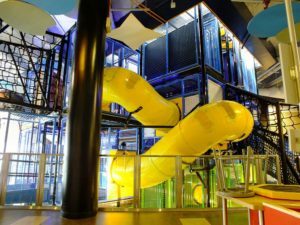 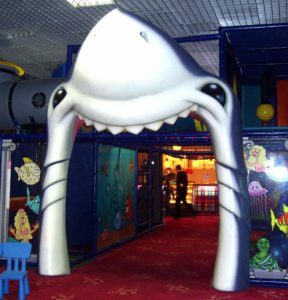 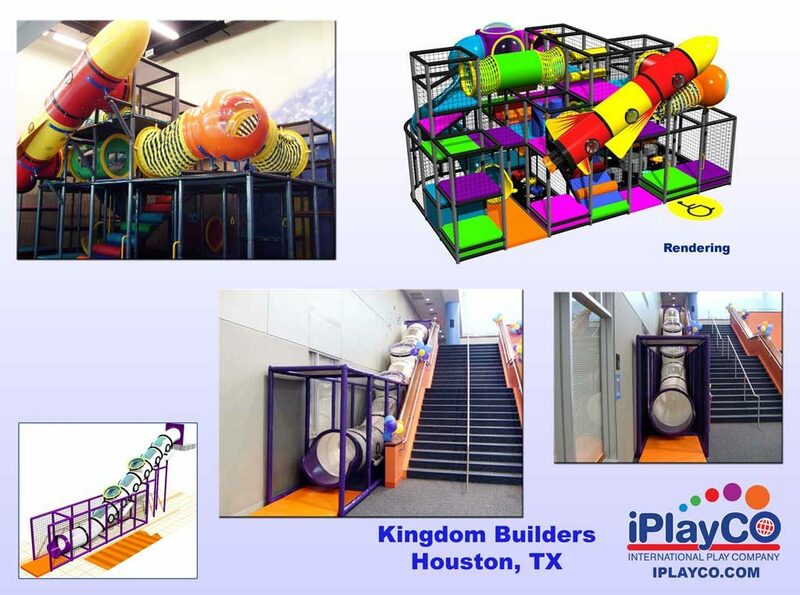 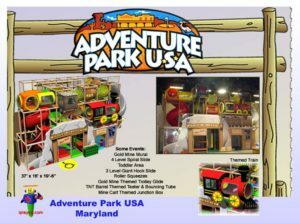 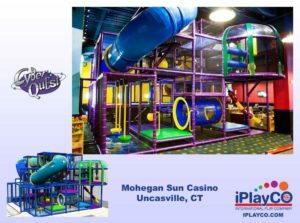 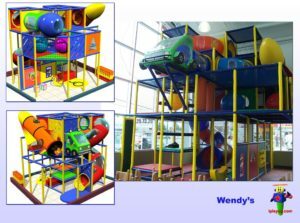 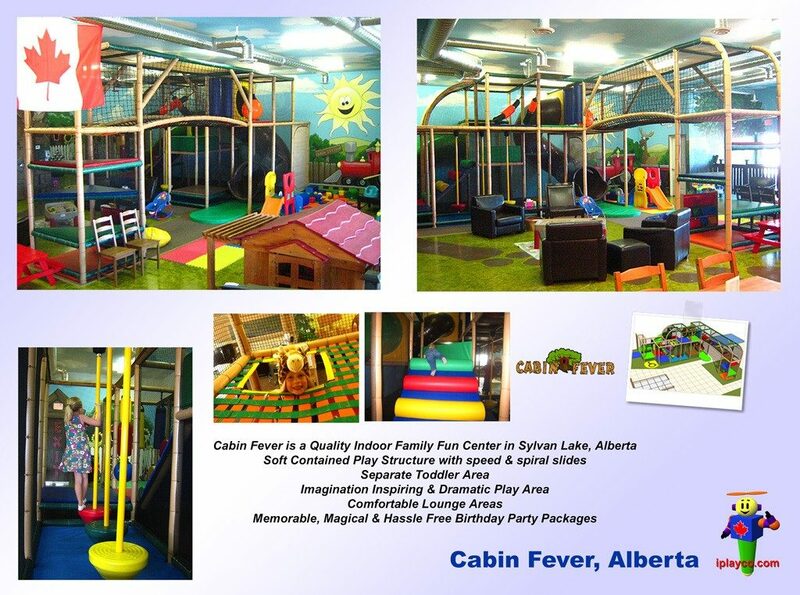 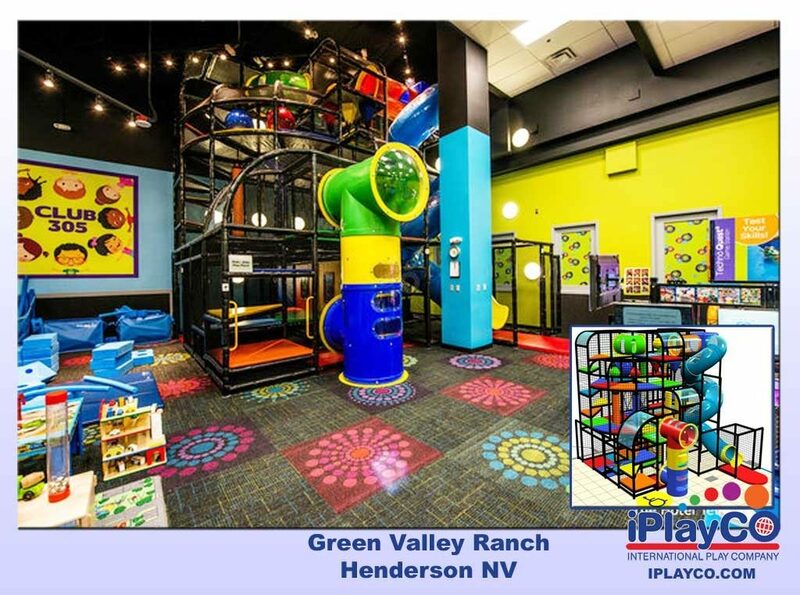 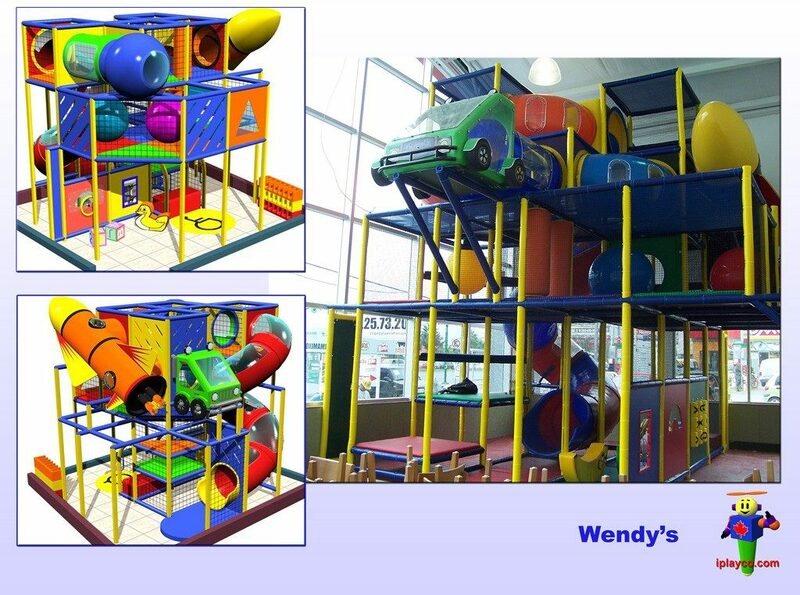 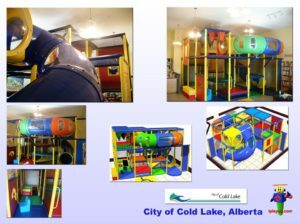 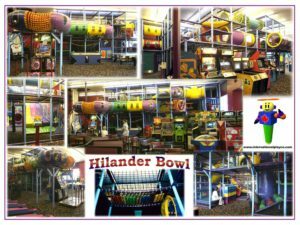 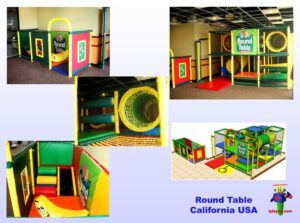 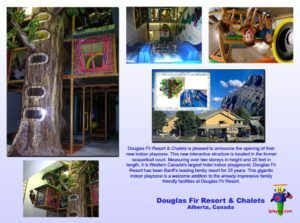 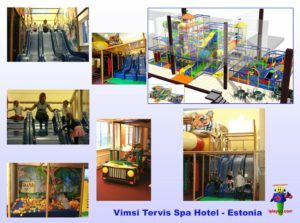 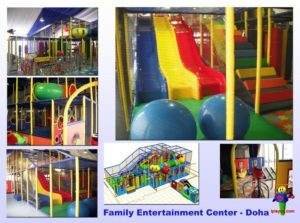 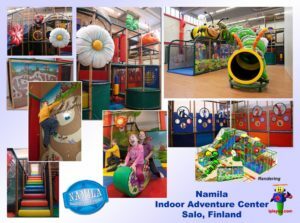 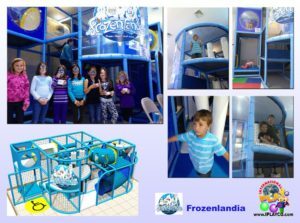 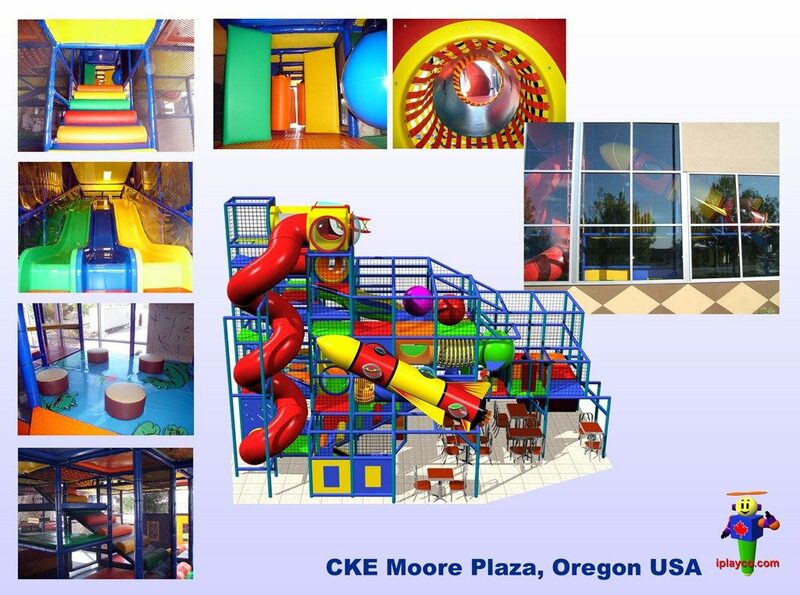 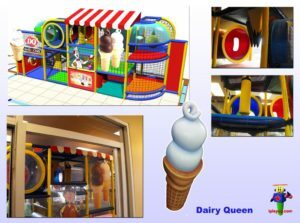 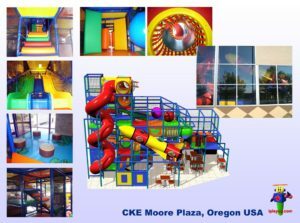 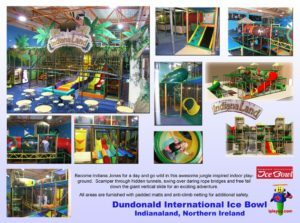 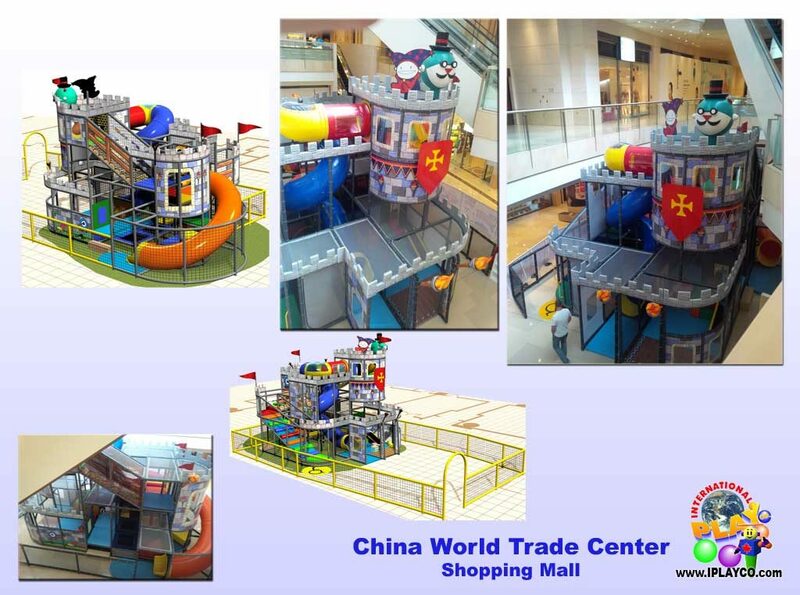 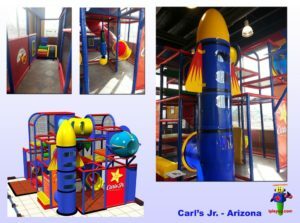 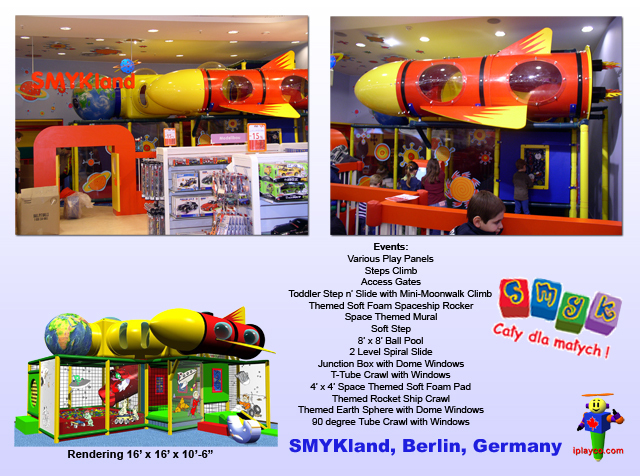 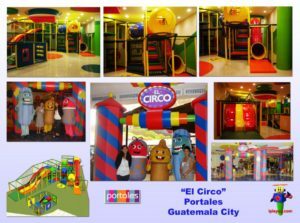 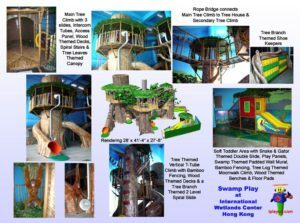 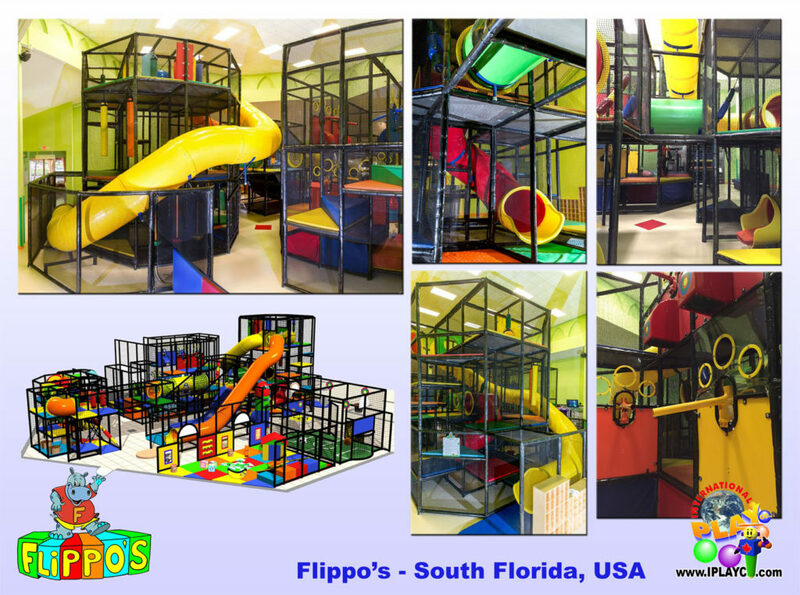 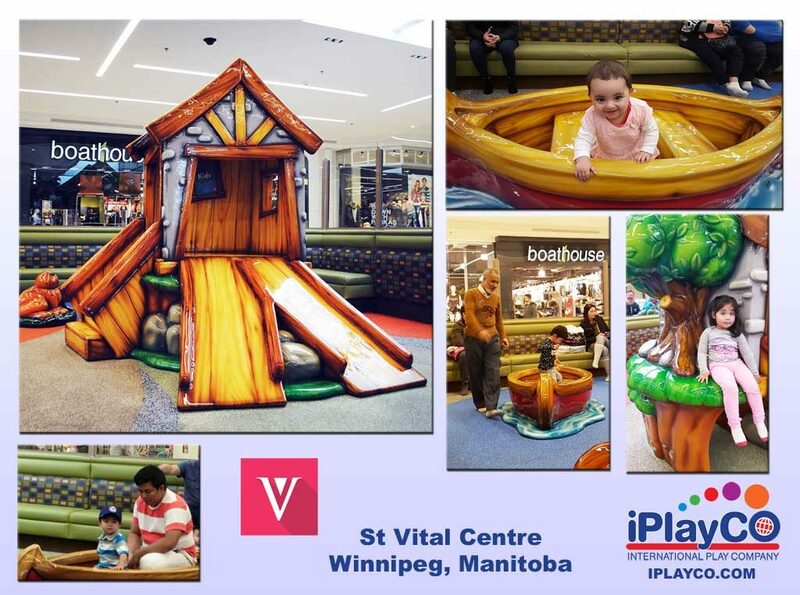 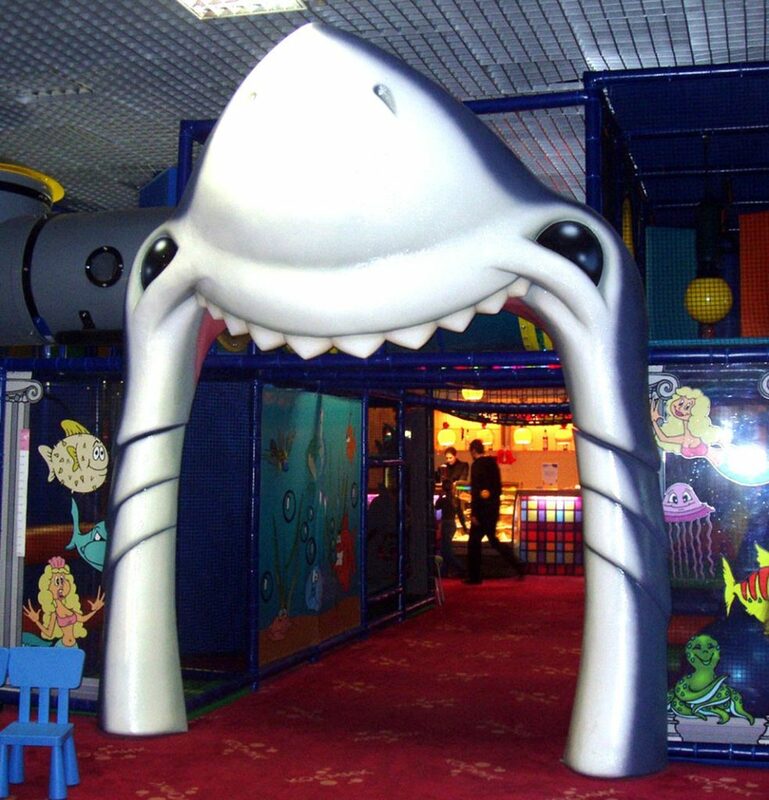 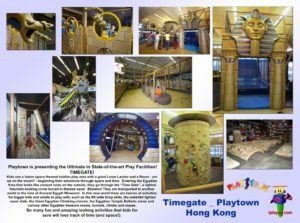 Soft indoor playground areas provide a fun place for the children to stay busy at Theme Parks, Hotels, Motels, Resorts, and Casino Installations. 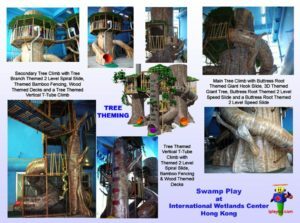 These locations are coming up with an array of special services and giving their customers a memorable staying experience to encourage many return visits. 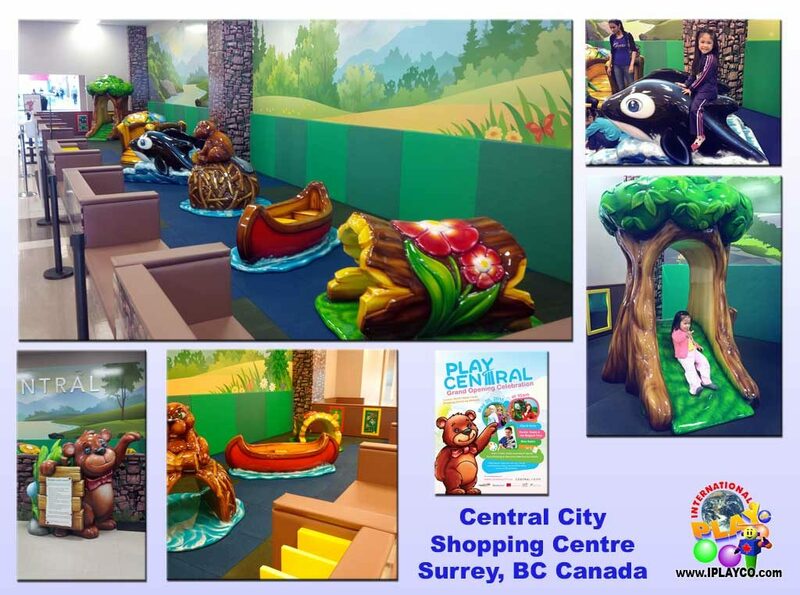 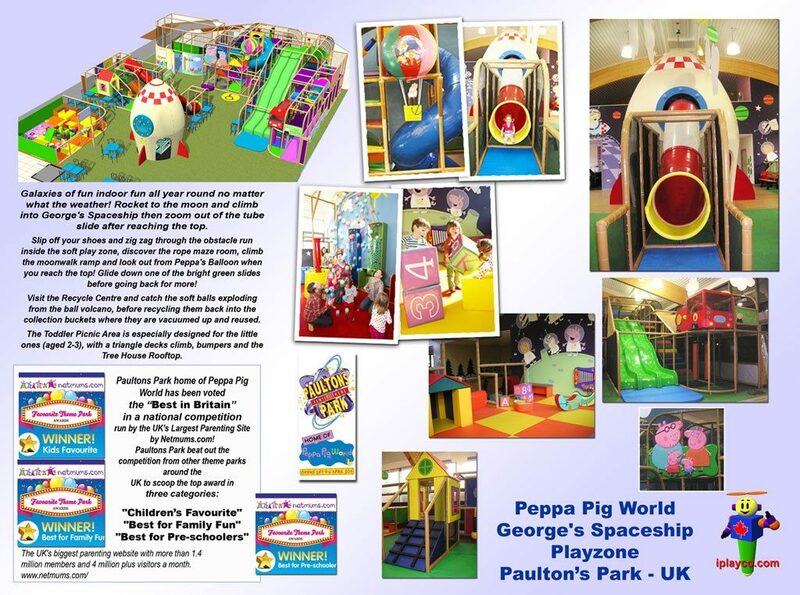 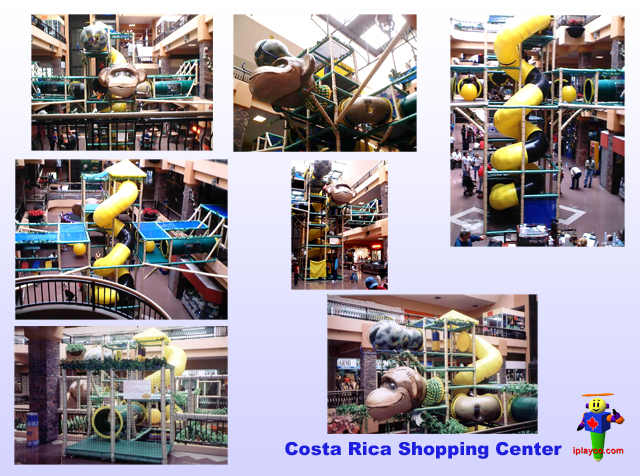 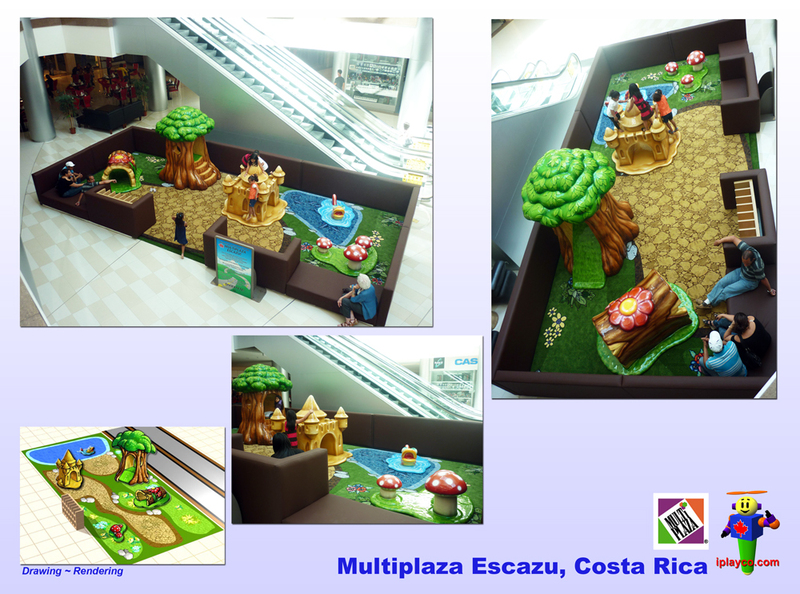 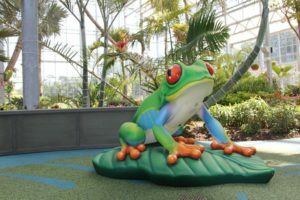 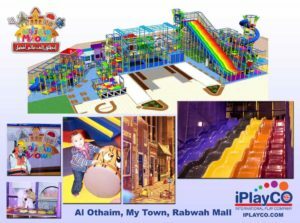 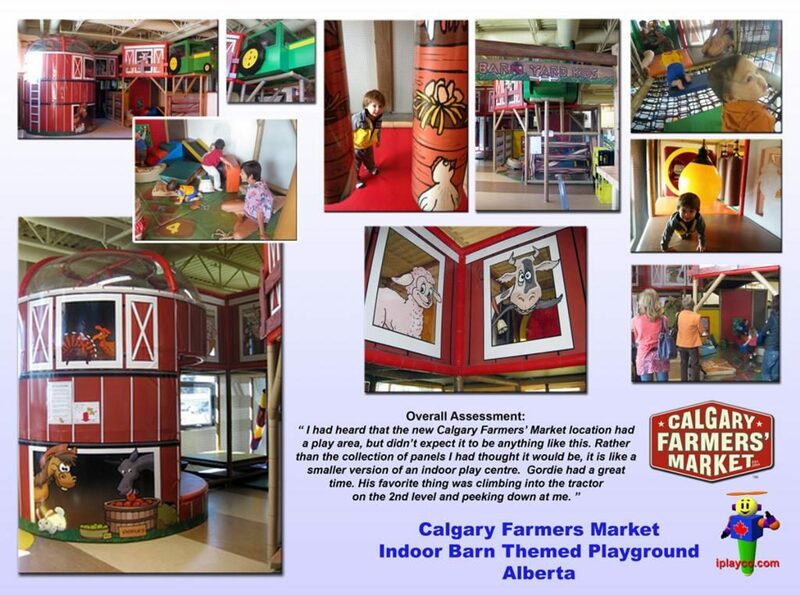 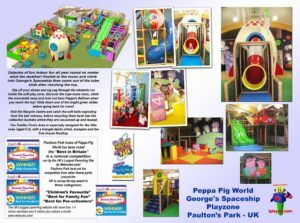 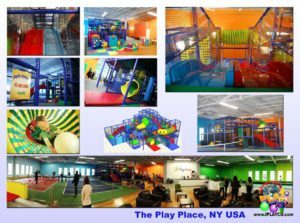 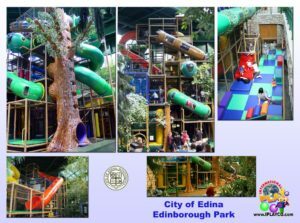 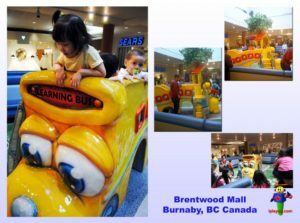 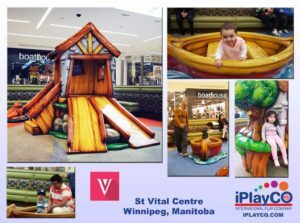 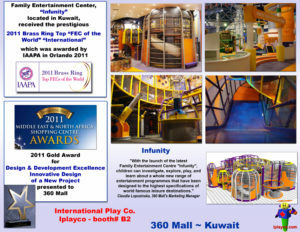 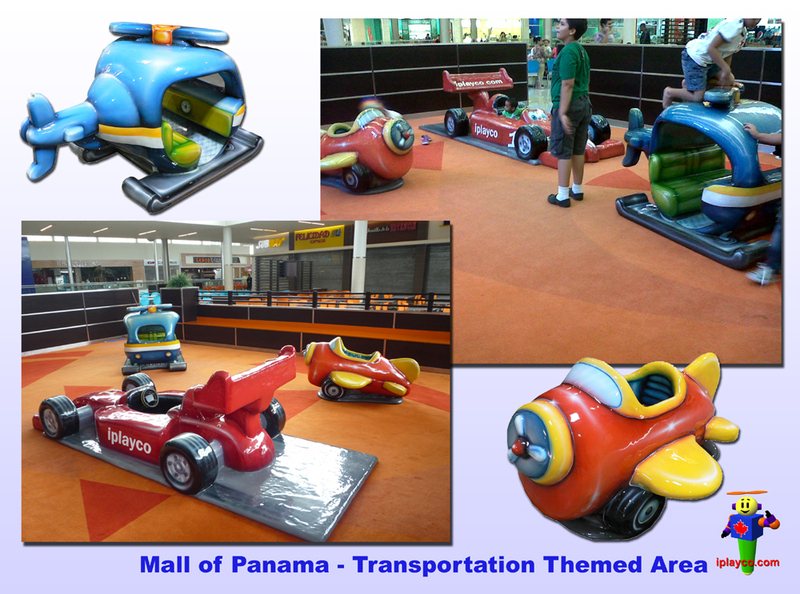 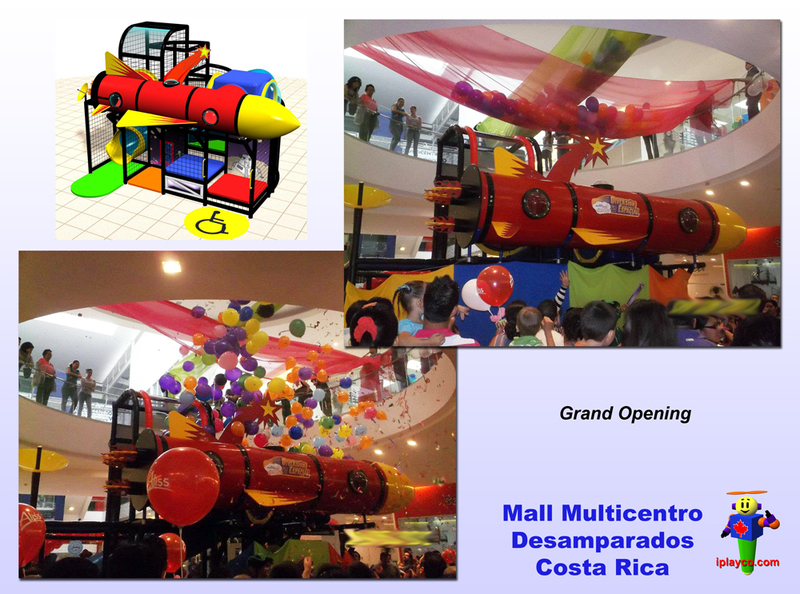 Play areas can act as fun areas for younger children to play and Iplayco can design a space that works best for your traffic patterns and customers. 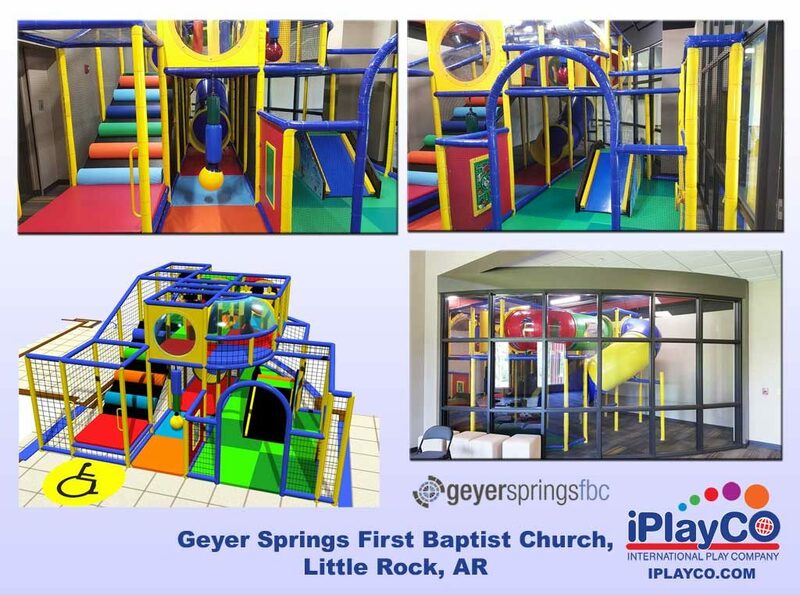 Stay competitive and attract customers to your location. 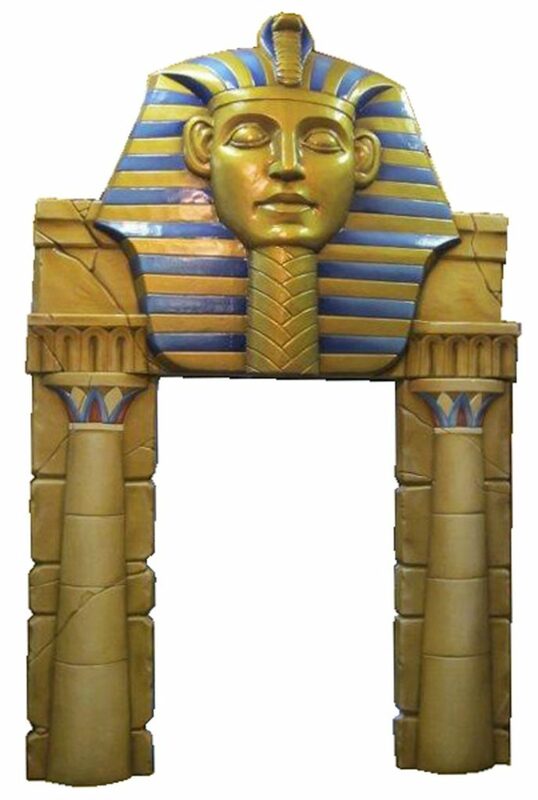 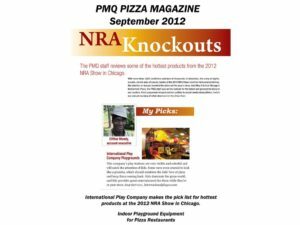 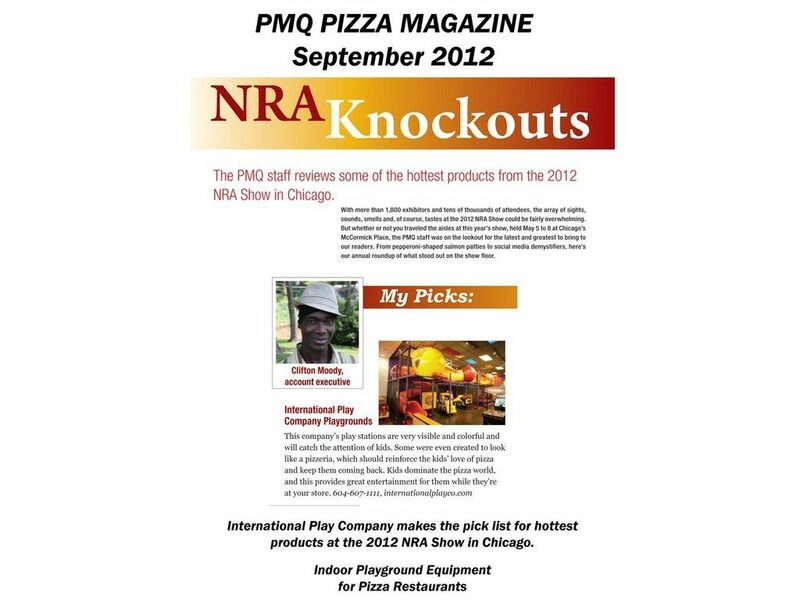 Best suited for retail stores, shopping centers, food courts and restaurants. 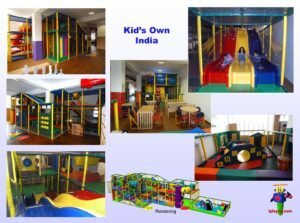 From a parents perspective it is important to provide a secure environment where children can learn valuable social development skills such as cooperation and sharing. 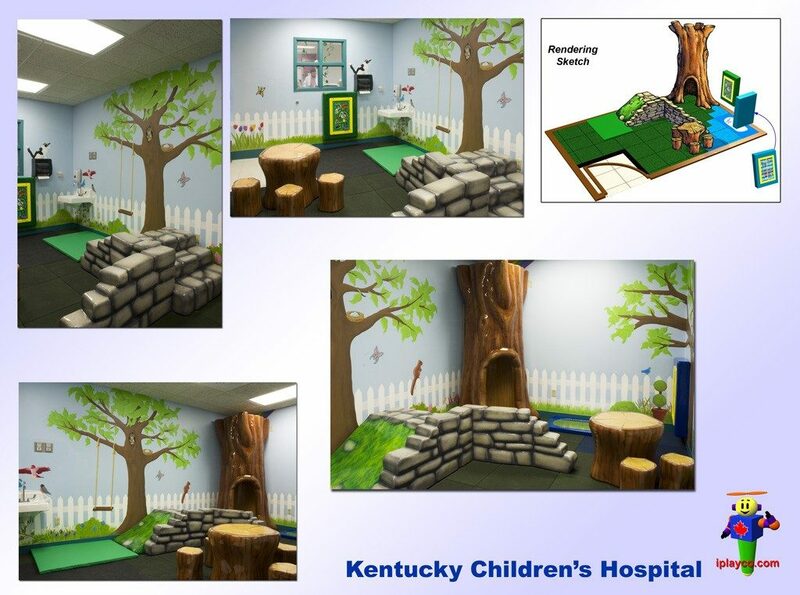 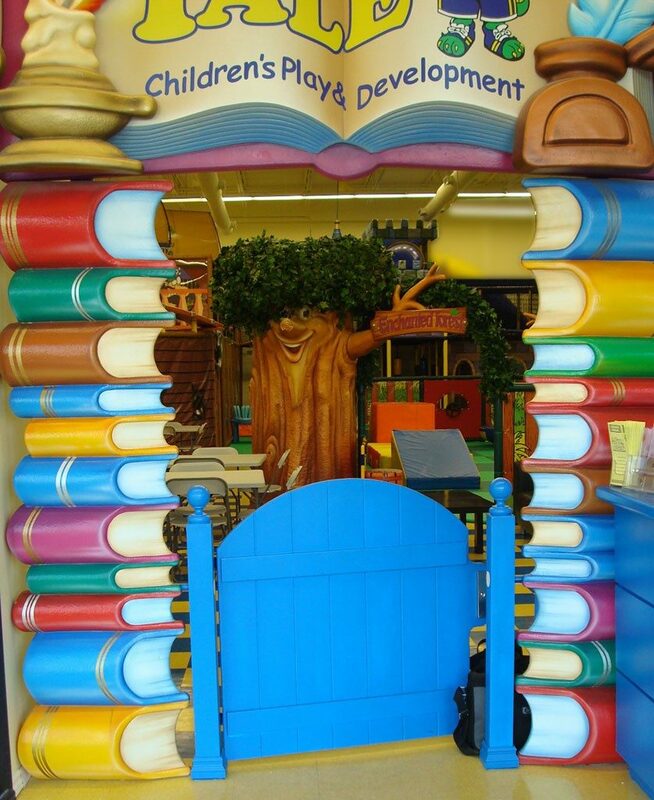 From a child’s perspective it simply provides a fun place to play and meet new friends. 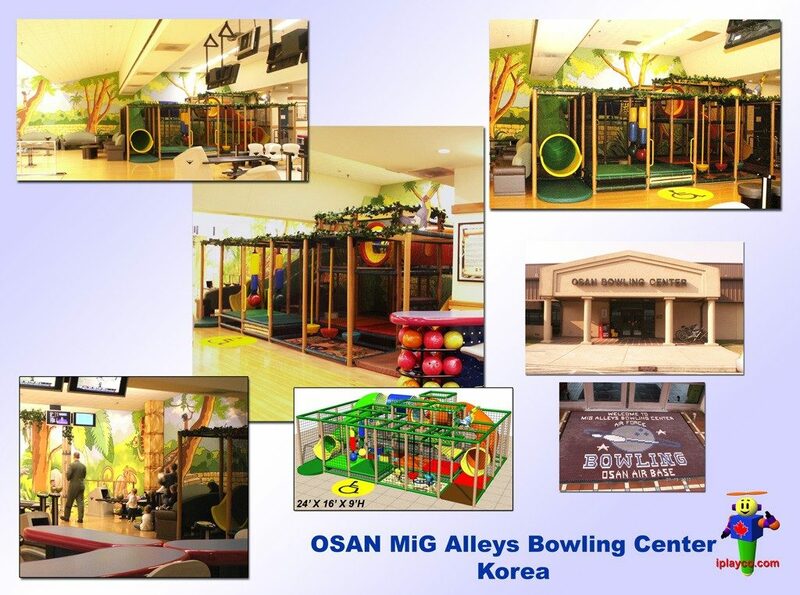 We are an active member of ICSC and MECSC. 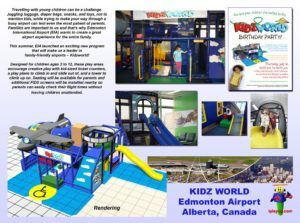 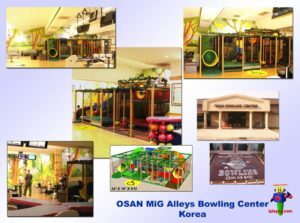 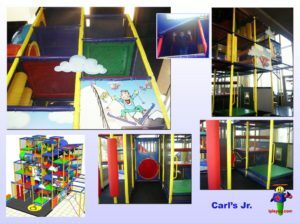 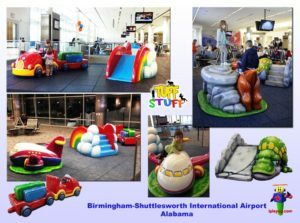 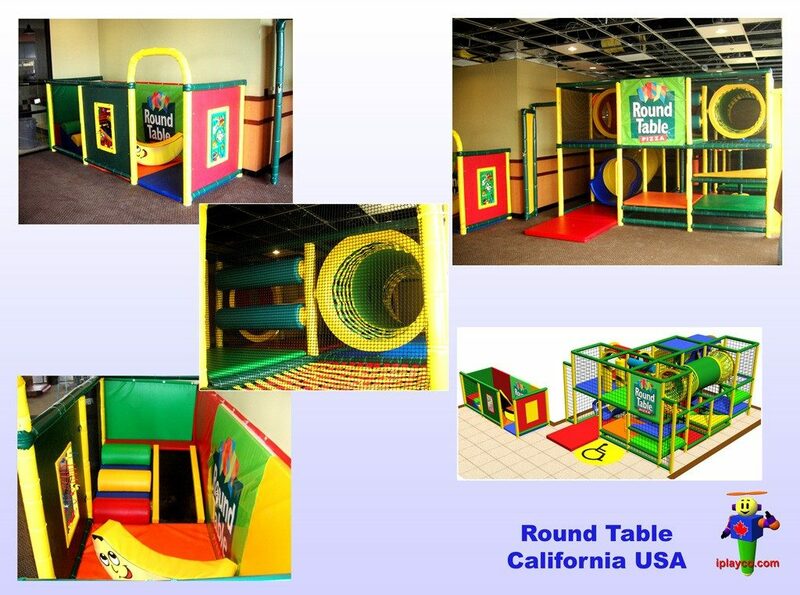 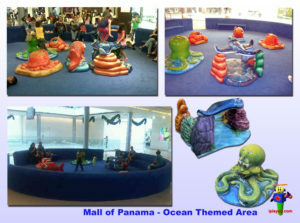 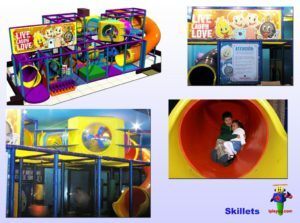 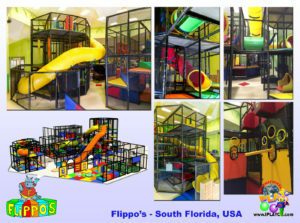 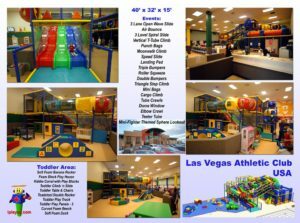 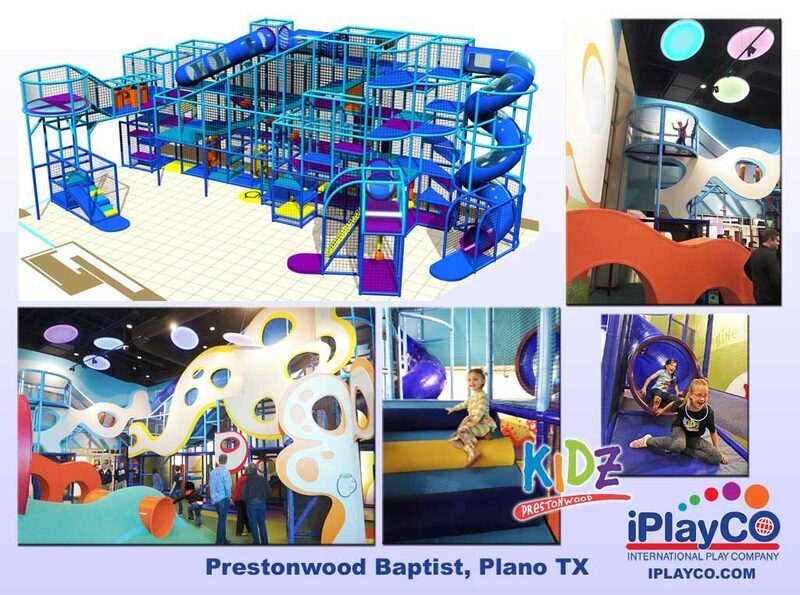 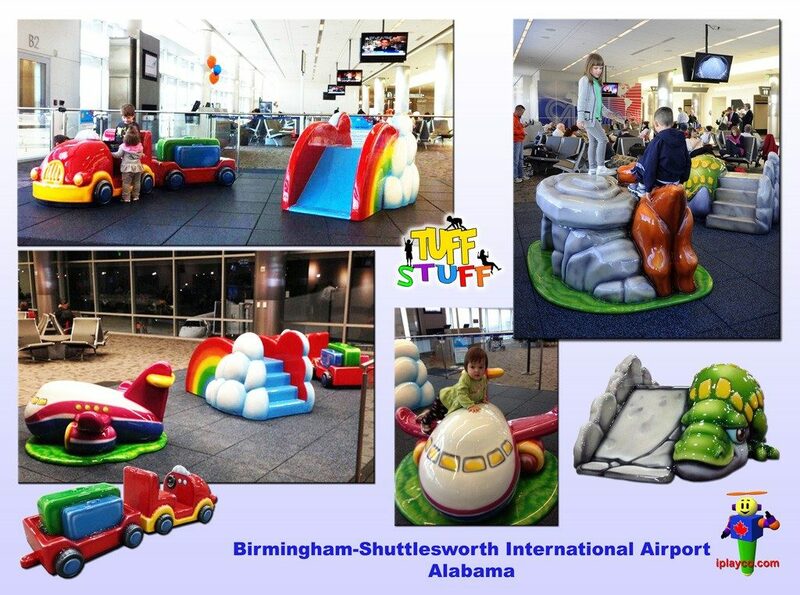 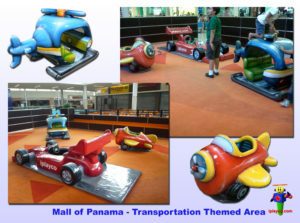 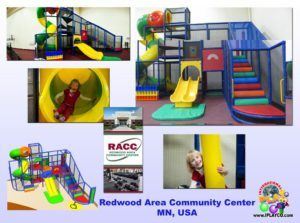 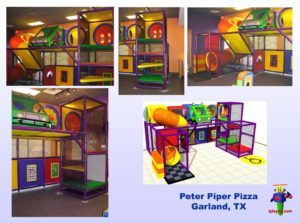 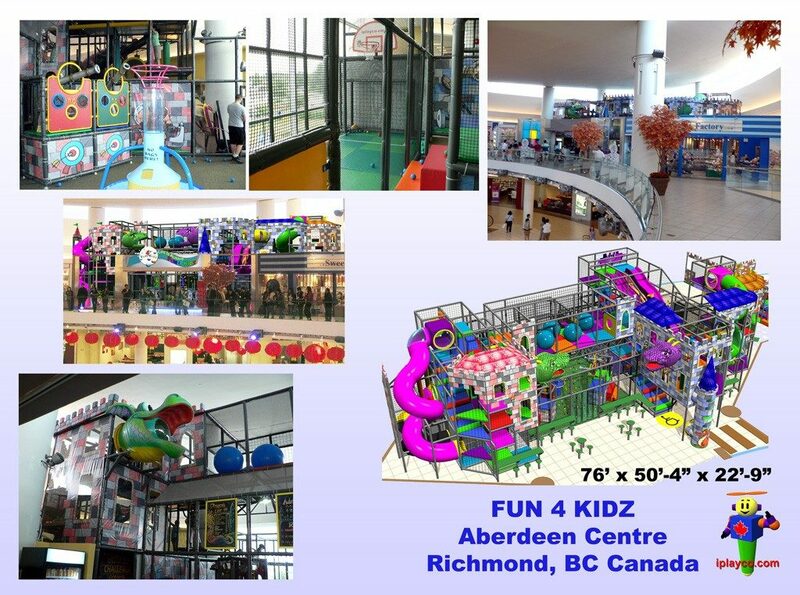 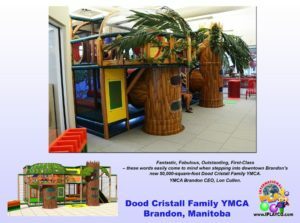 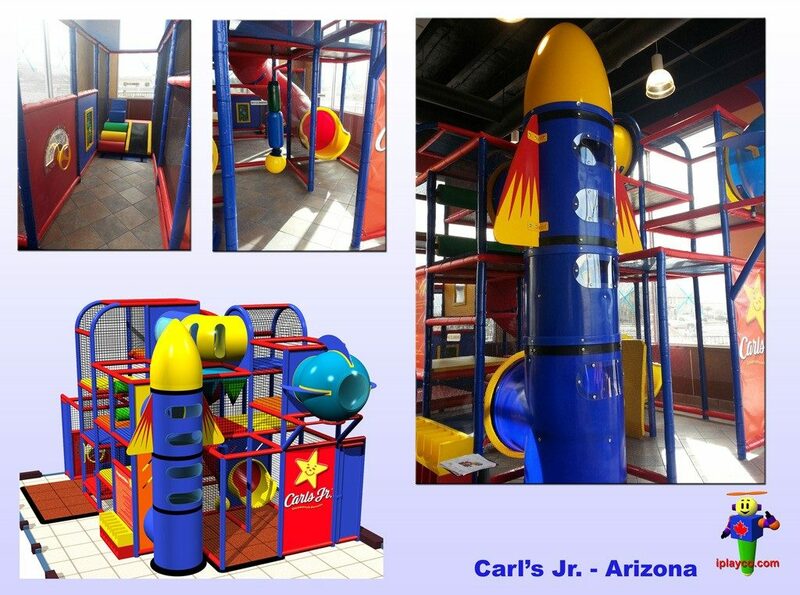 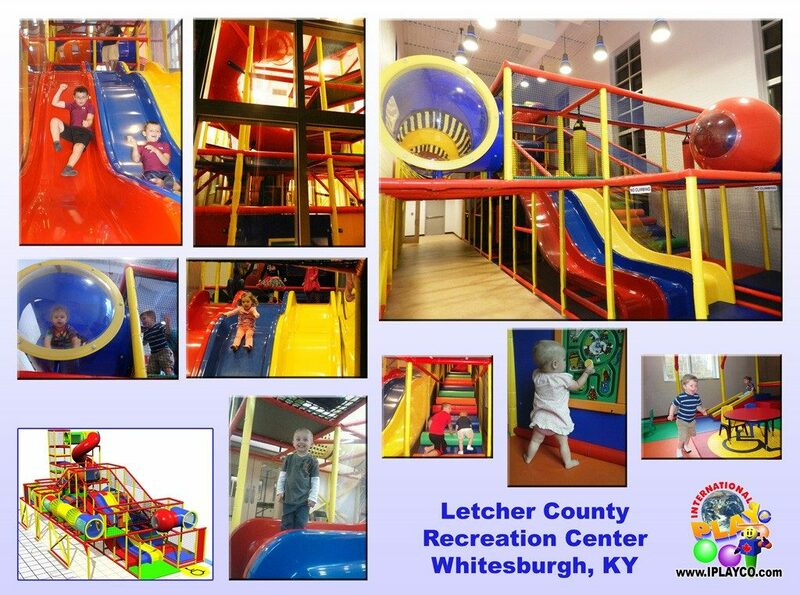 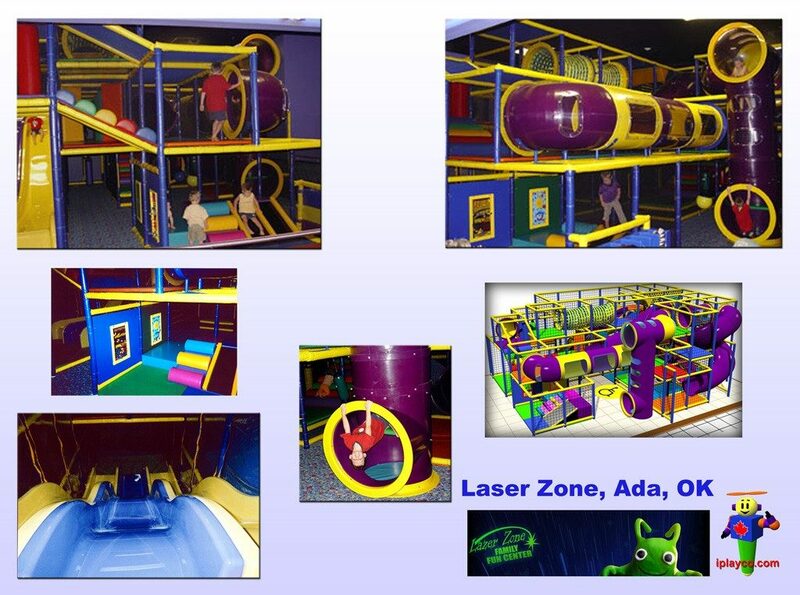 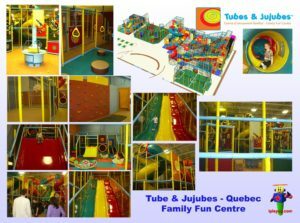 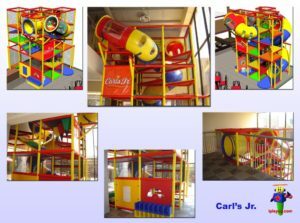 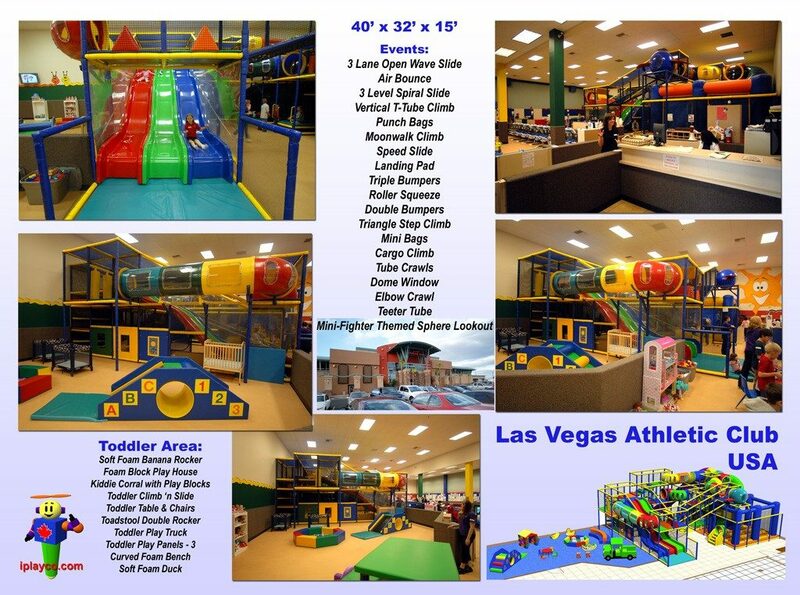 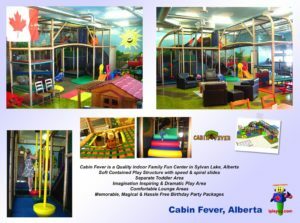 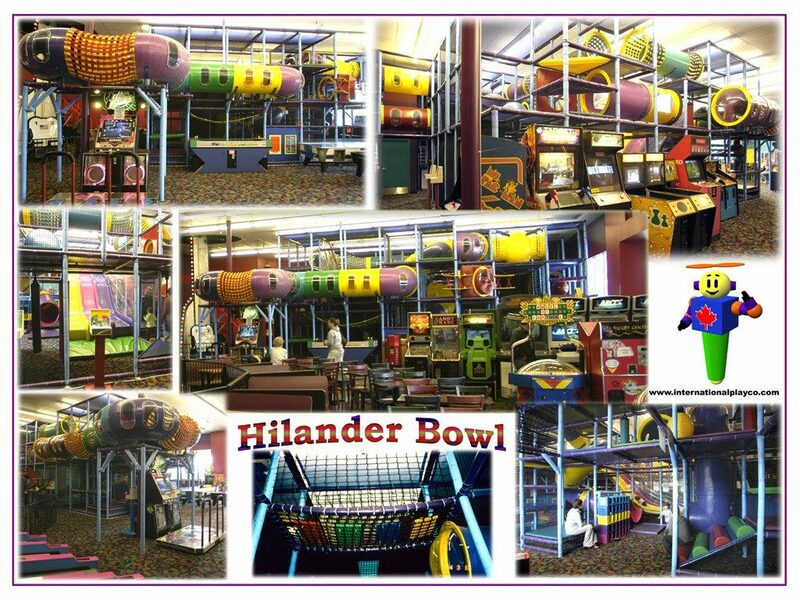 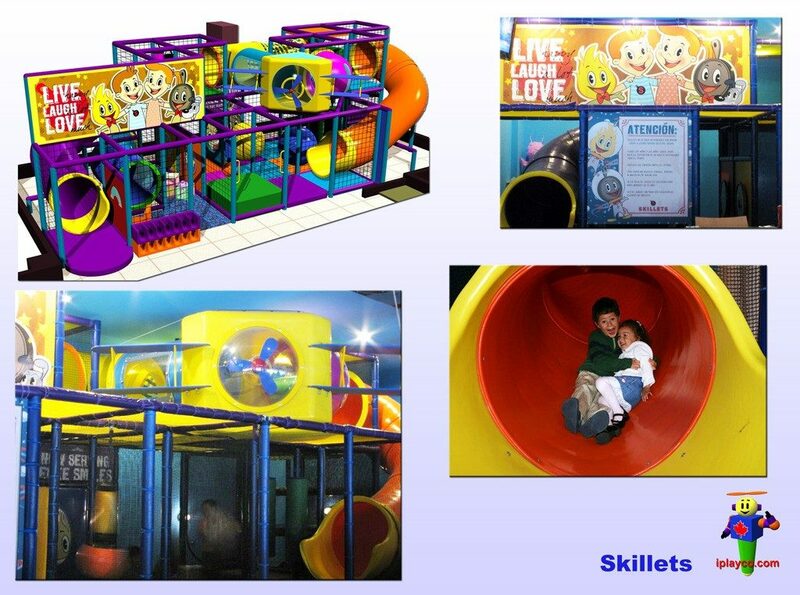 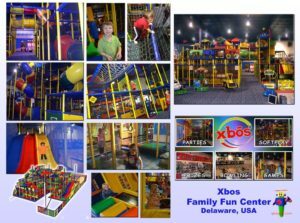 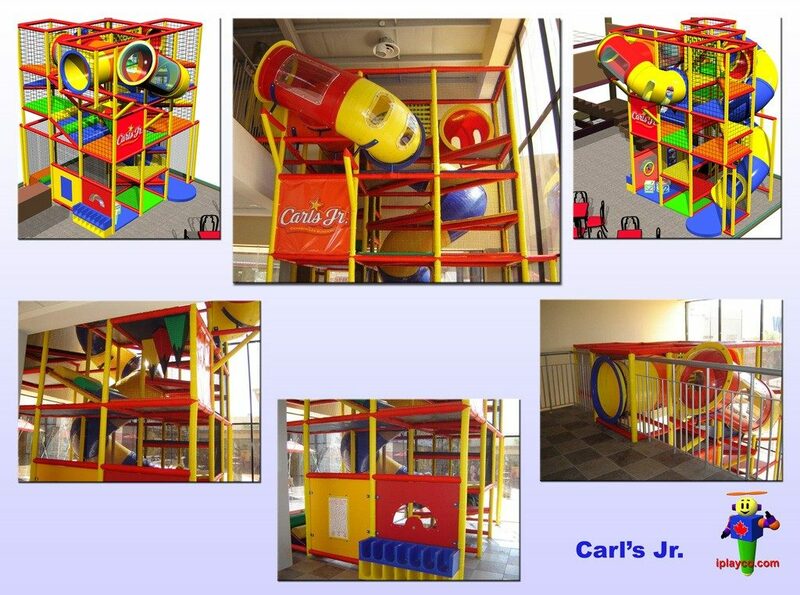 Soft indoor playground areas provide a fun place for the children to stay busy at Airport Terminals, Bowling Centers, Daycares, Dental Offices, Children's Hospitals, Laser Tag, Roller Rinks, Skating Centers, Military Bases. 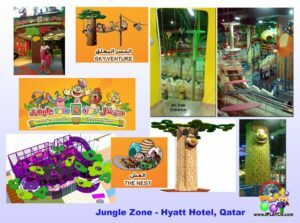 These locations are coming up with an array of special services and giving their customers a memorable staying experience to encourage many return visits. Play areas can act as fun areas for younger children to play and Iplayco can design a space that works best for your traffic patterns and customers. 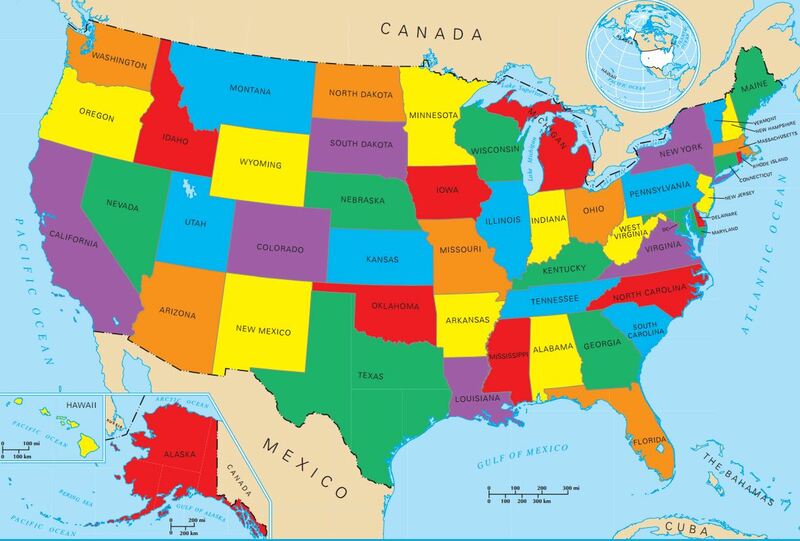 United States, Canada, & Mexico!